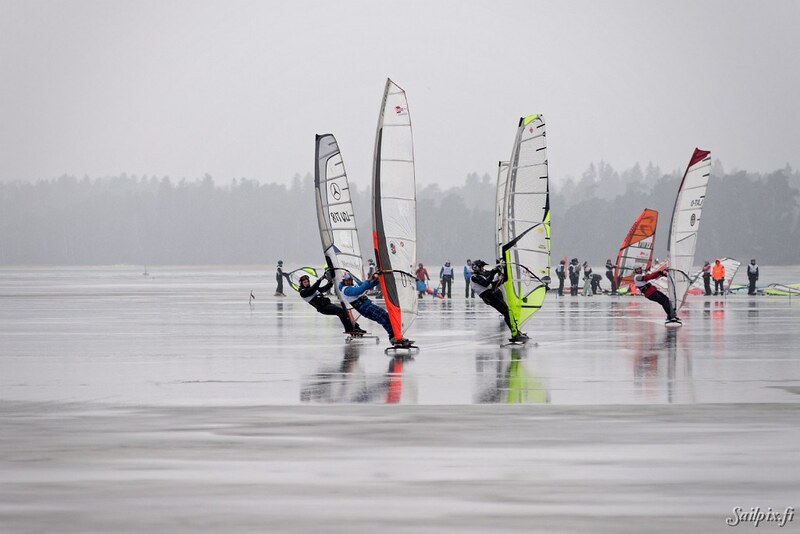 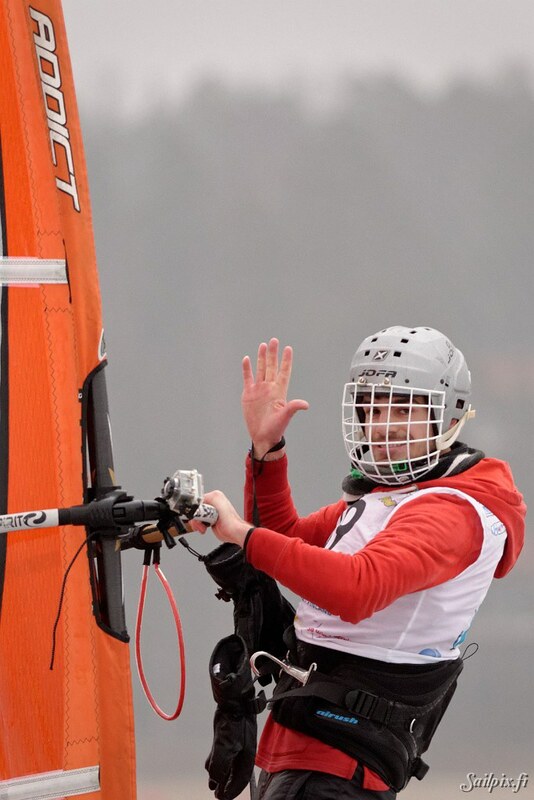 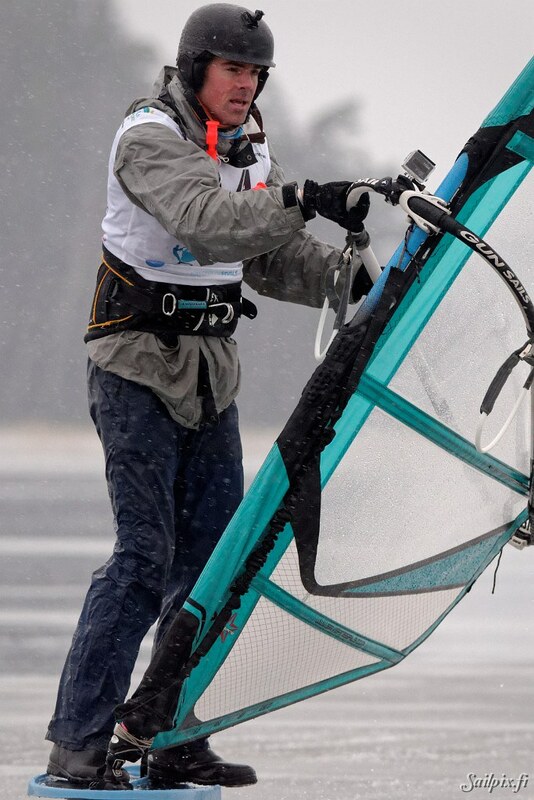 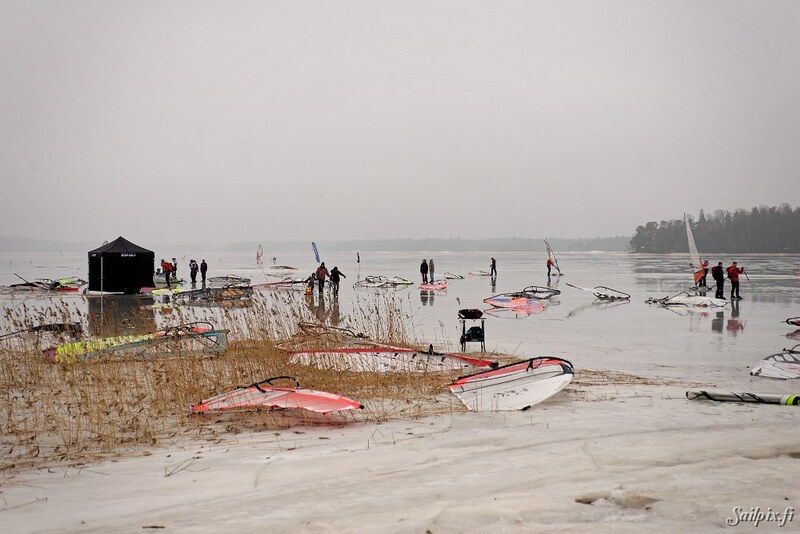 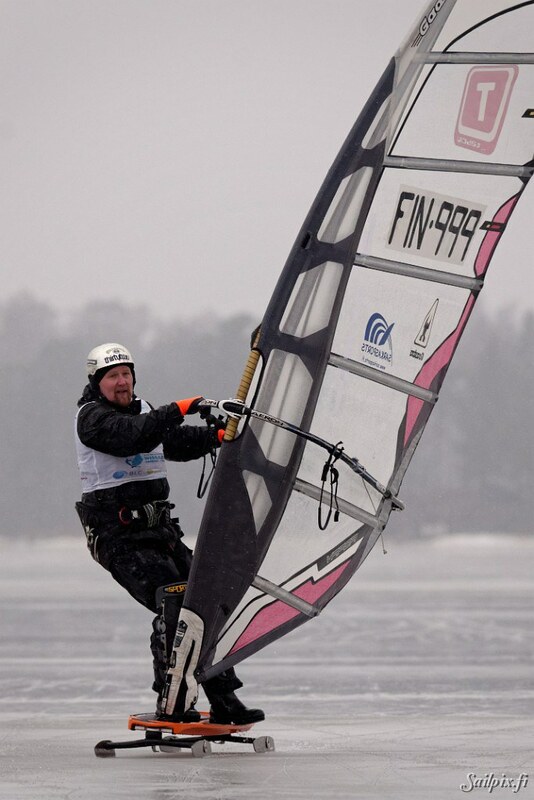 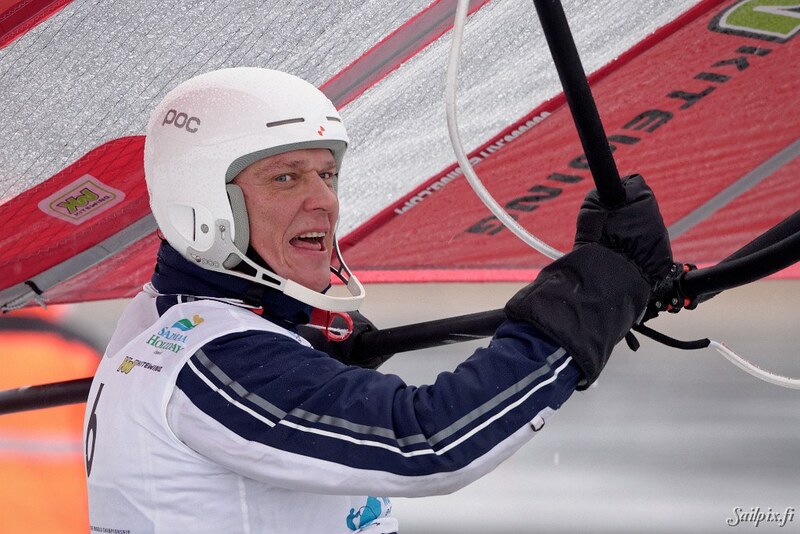 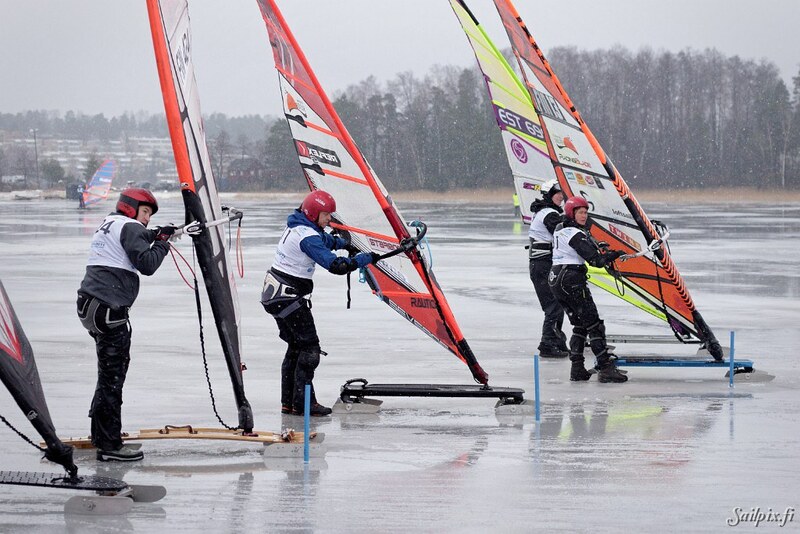 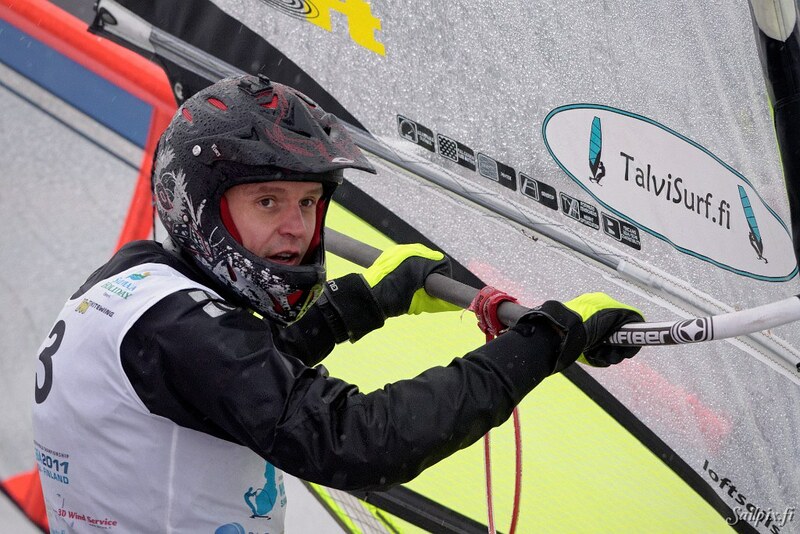 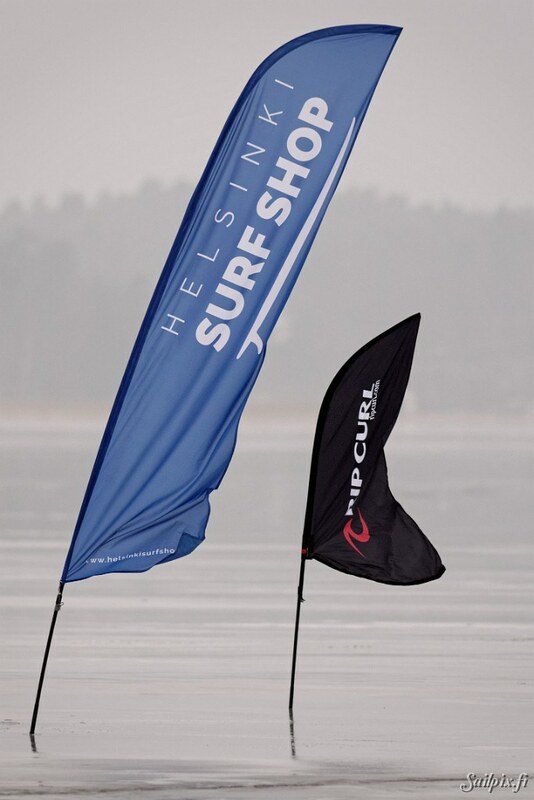 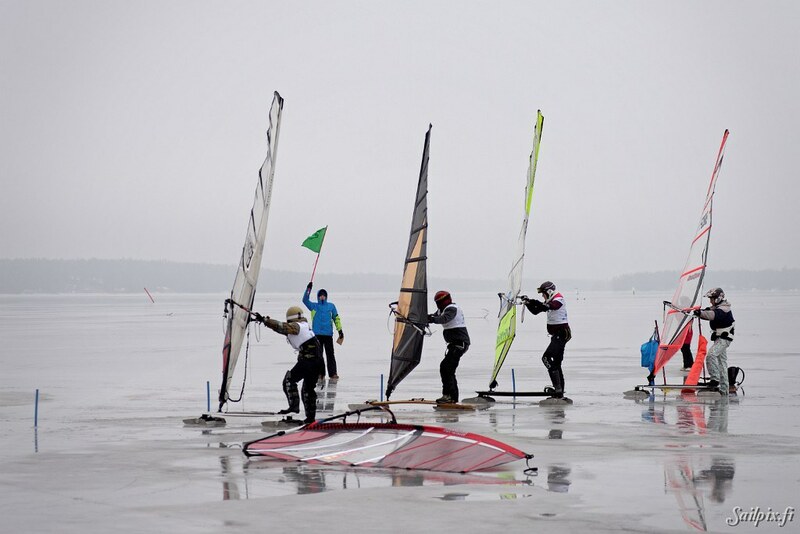 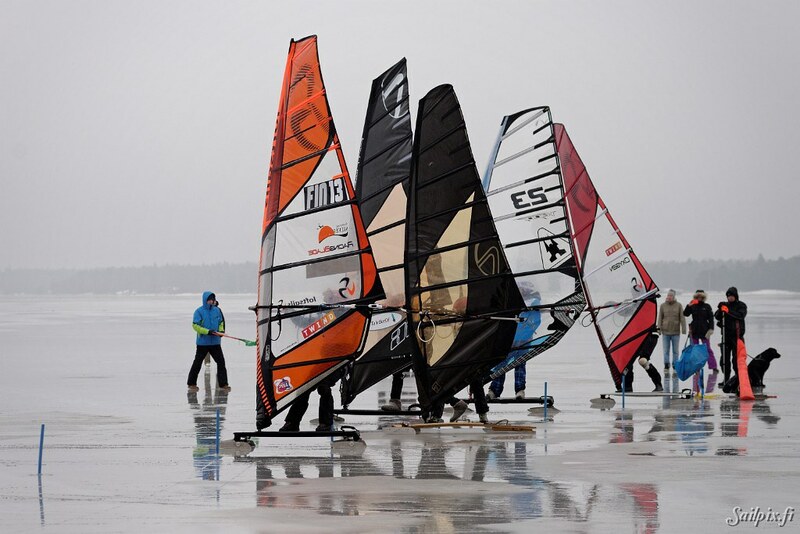 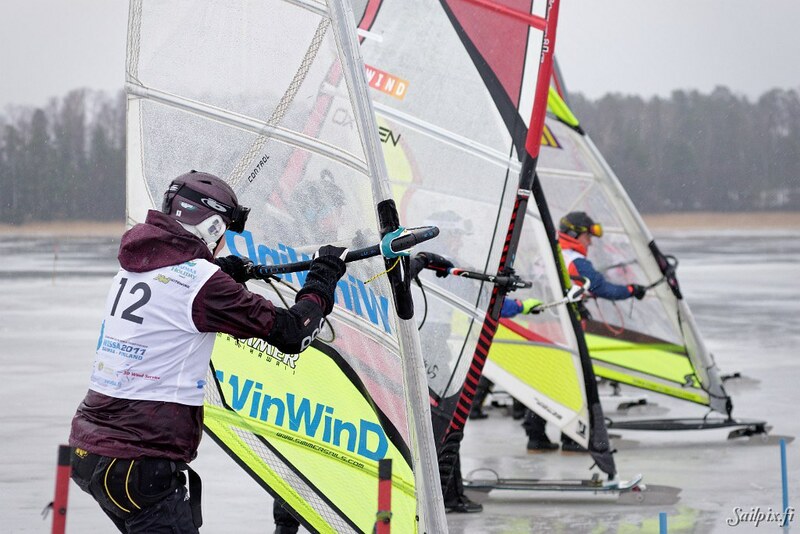 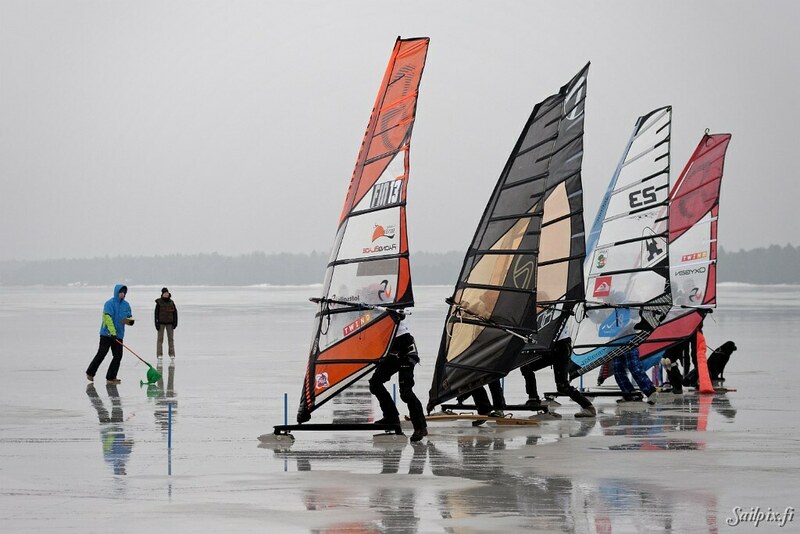 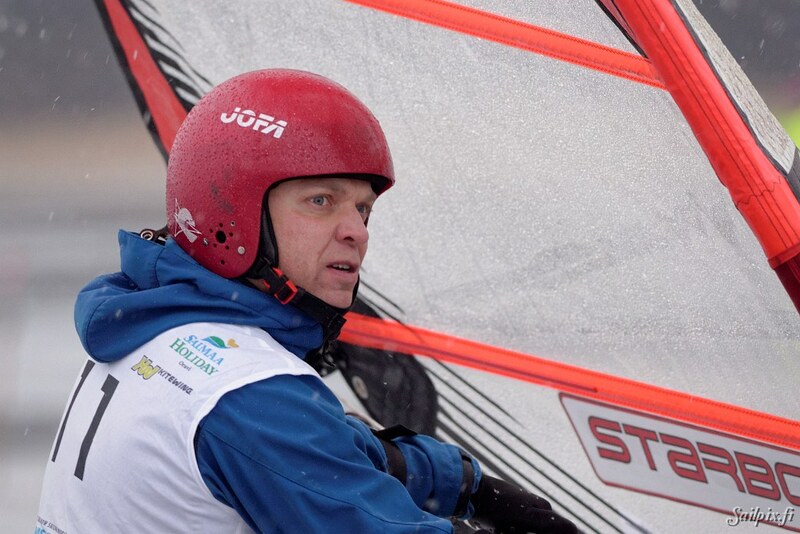 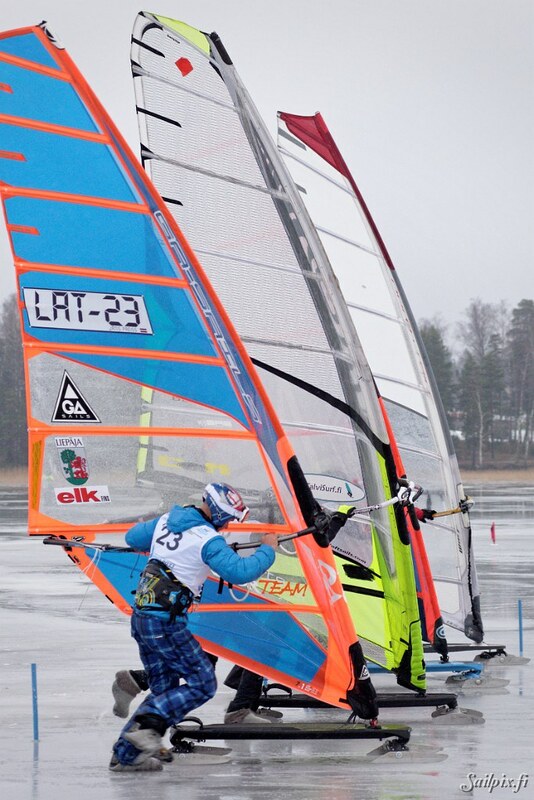 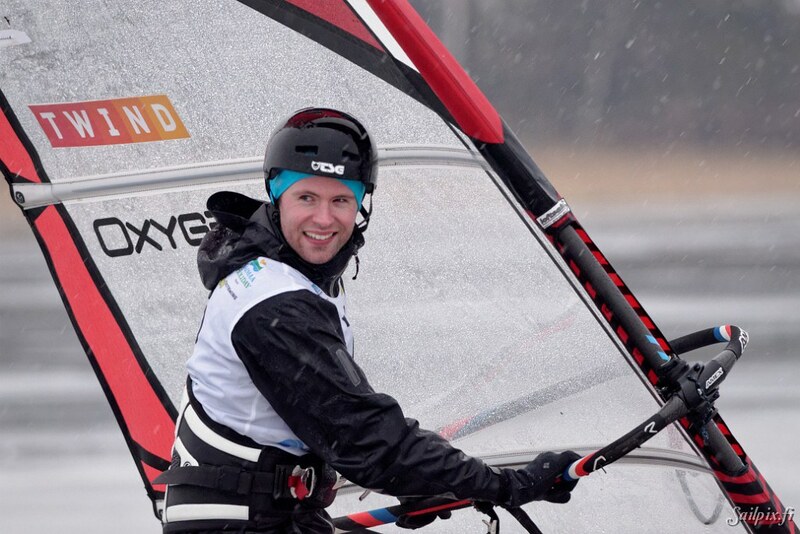 Winter Windsurfing Finnish Nationals and European Championship, sailed in Espoo at Soukanlahti. 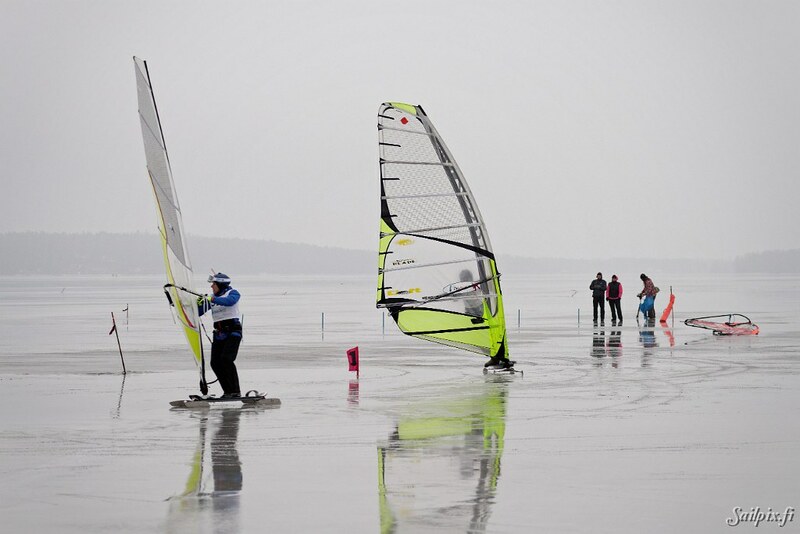 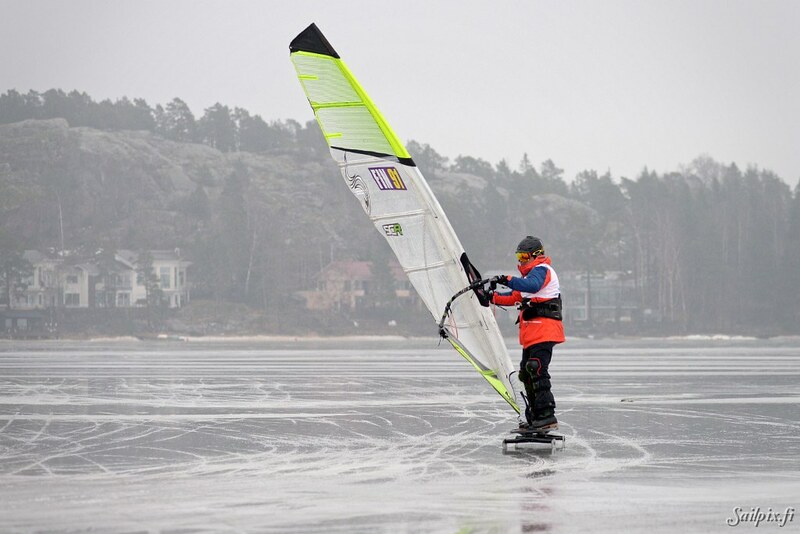 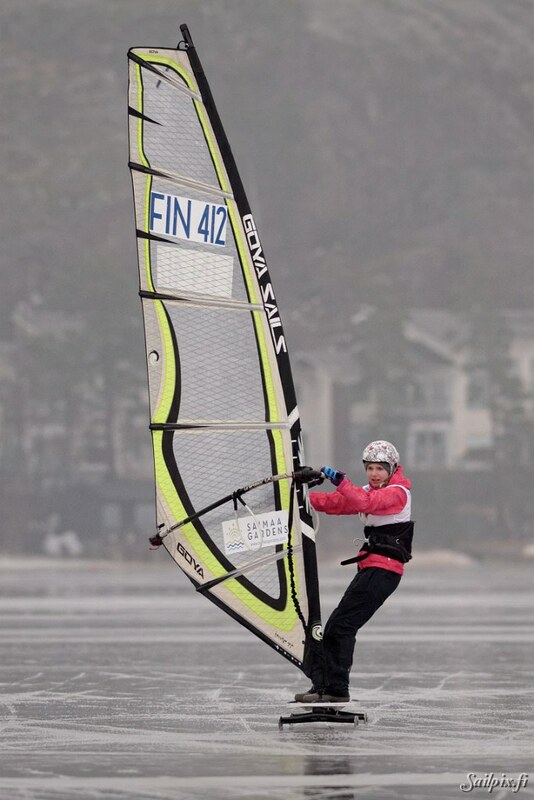 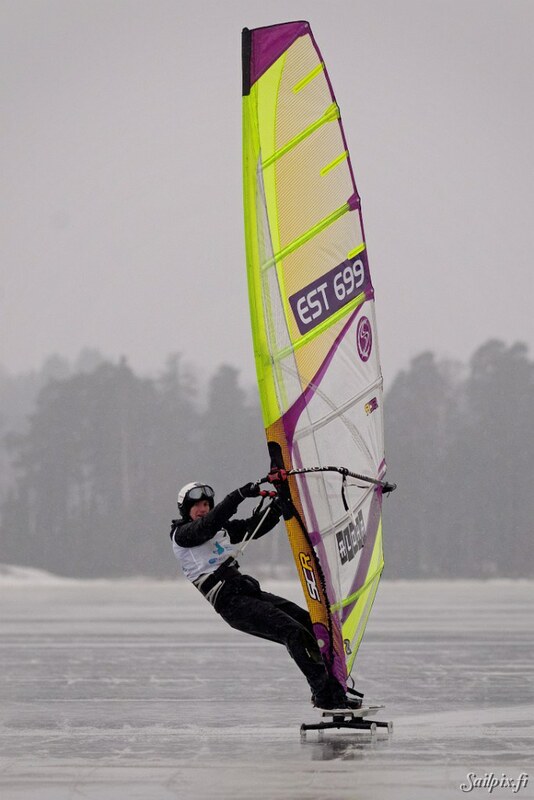 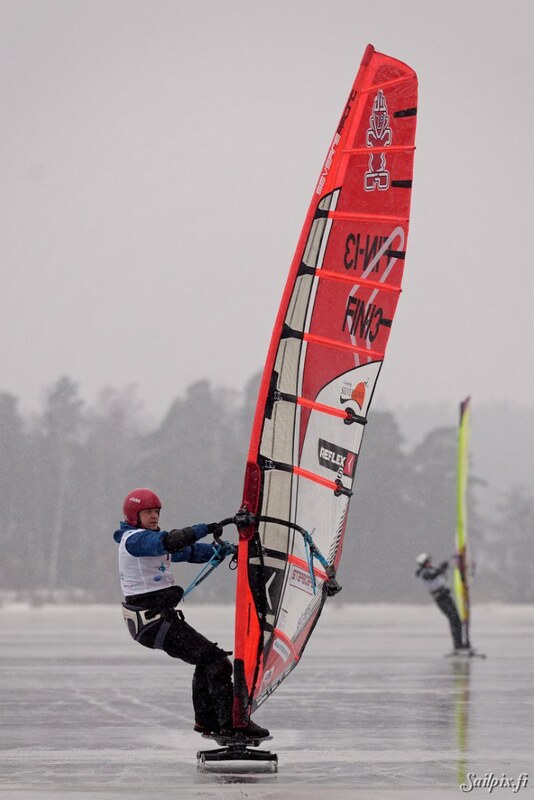 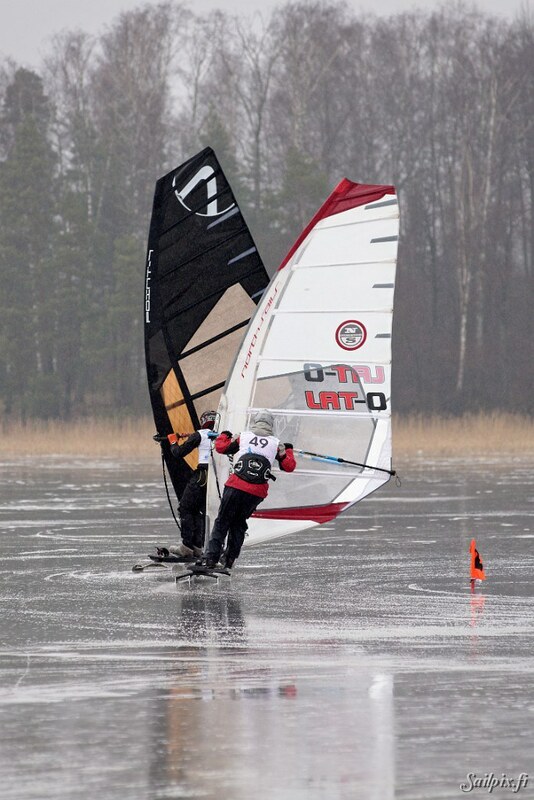 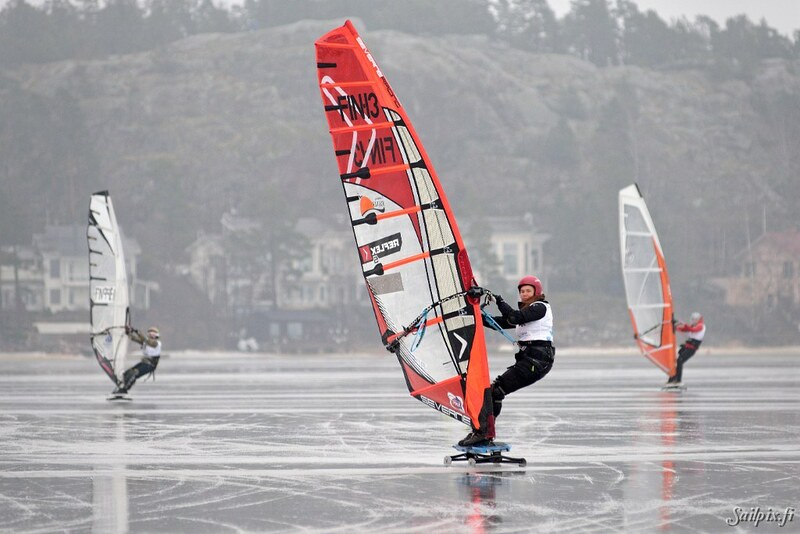 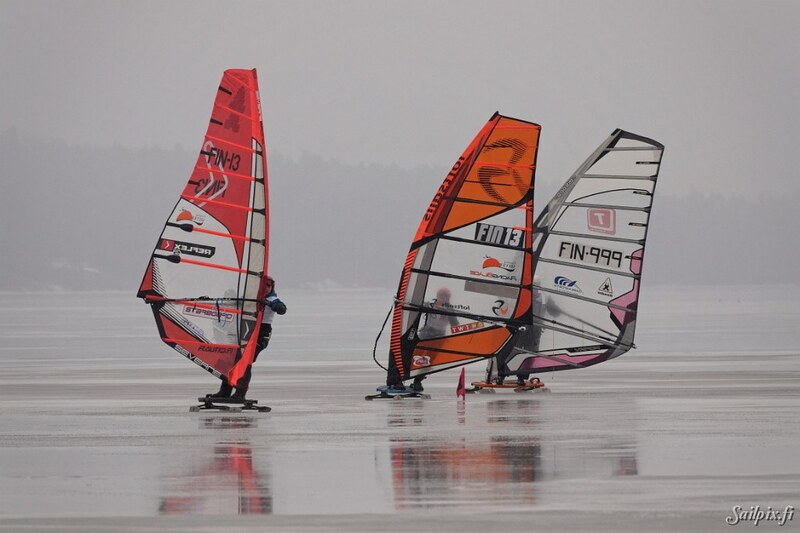 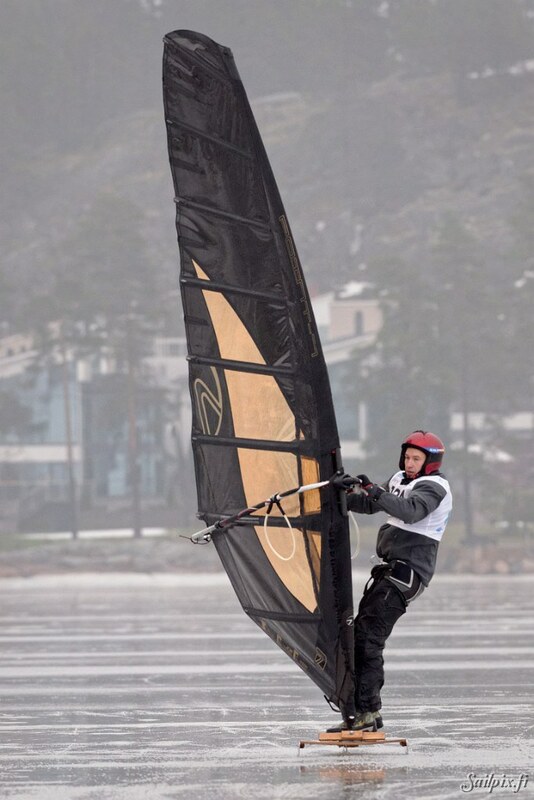 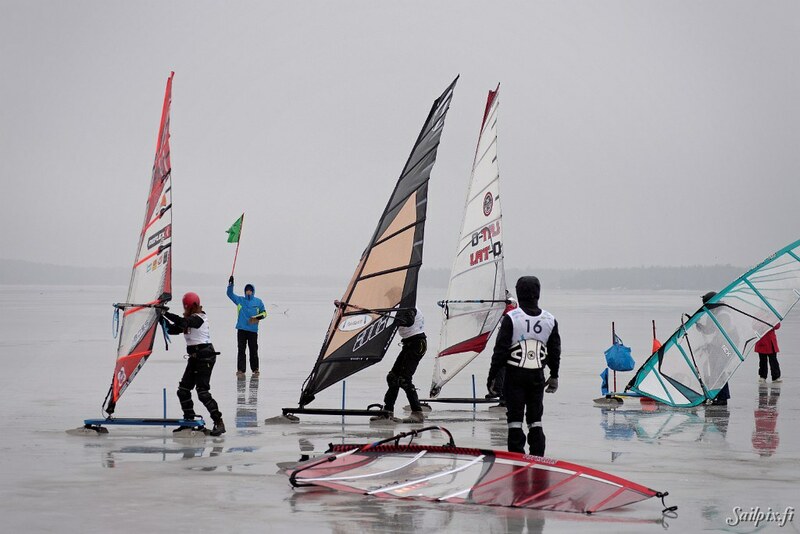 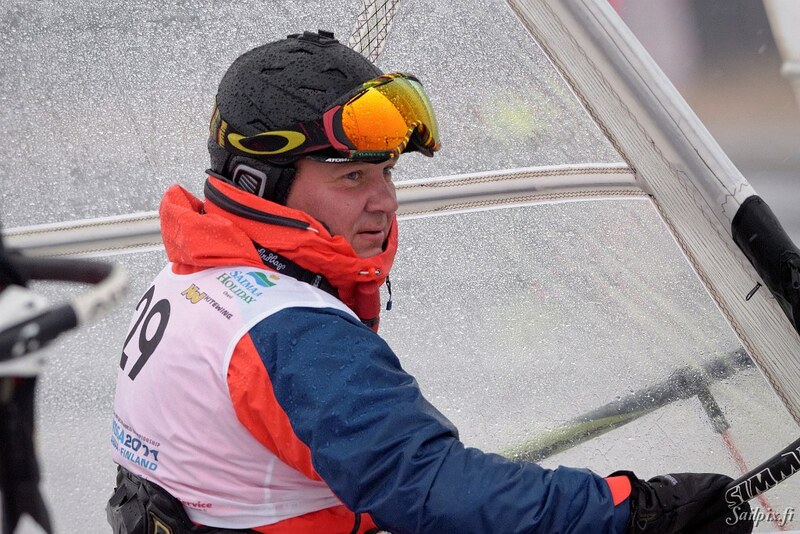 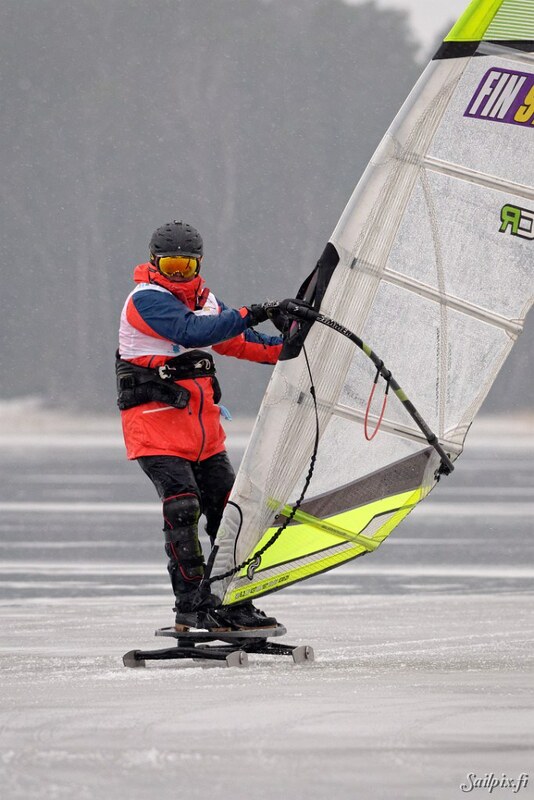 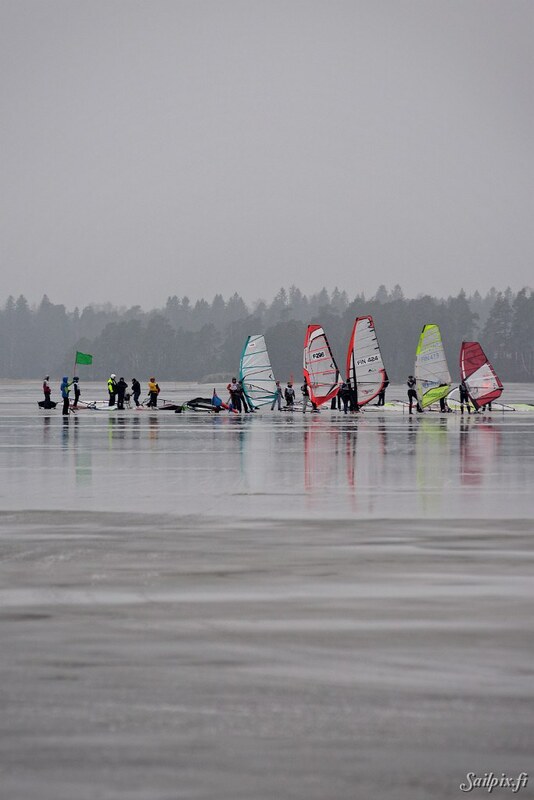 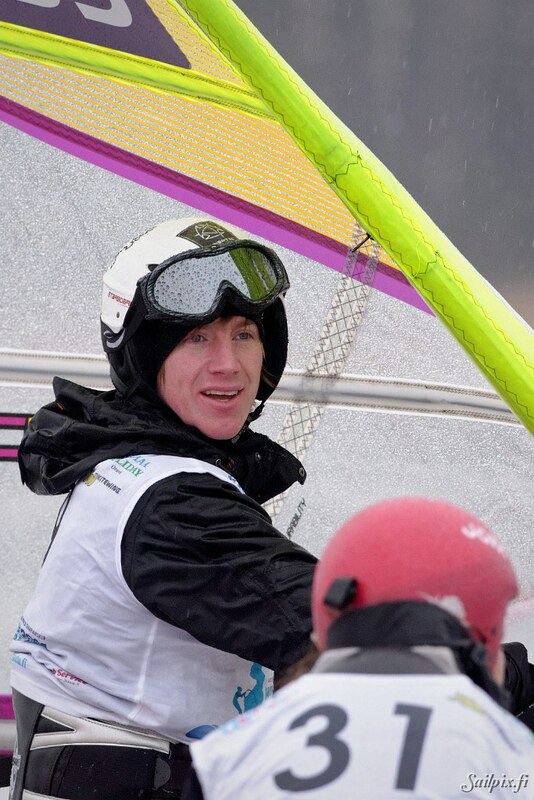 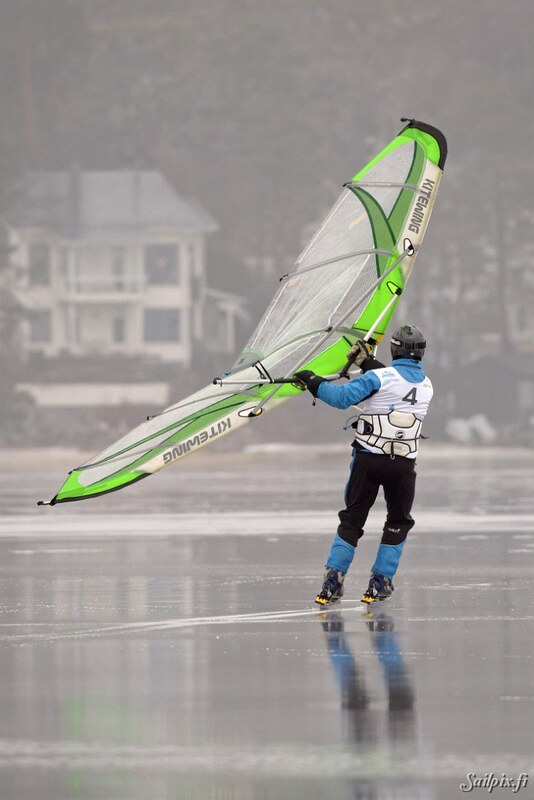 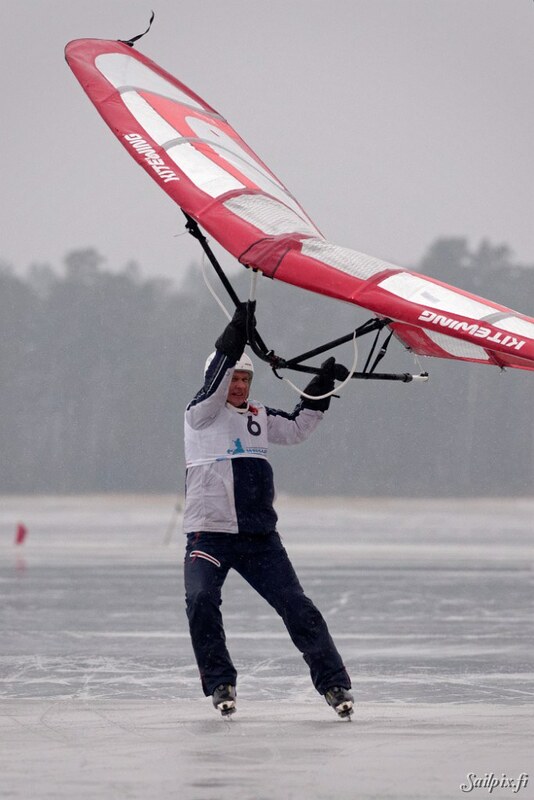 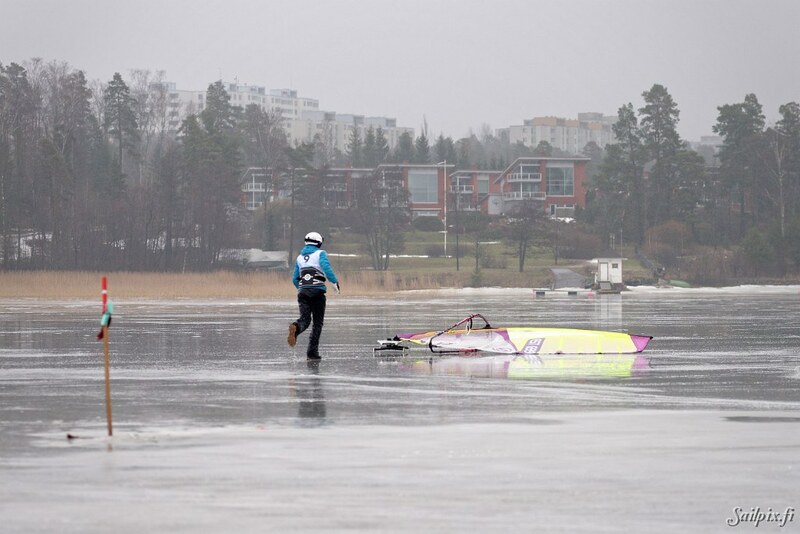 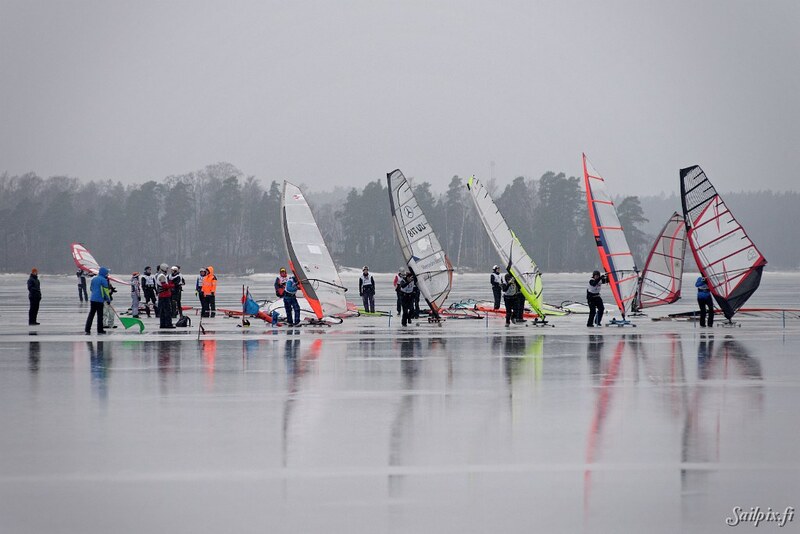 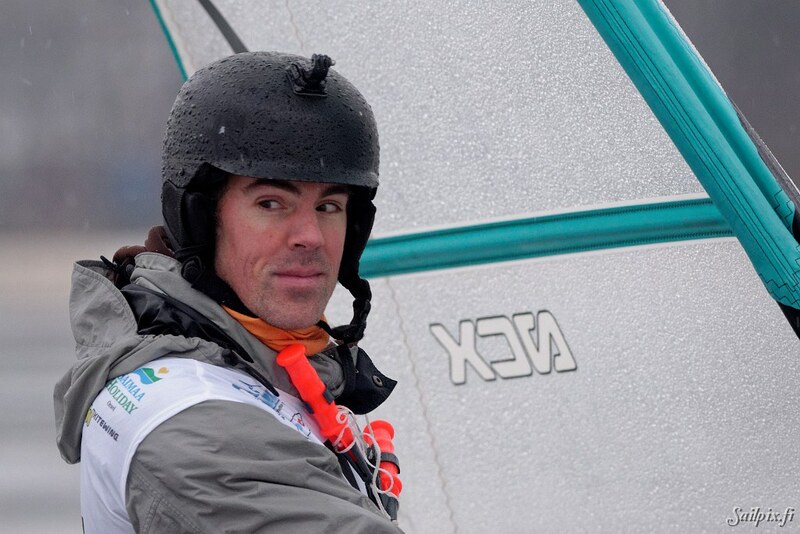 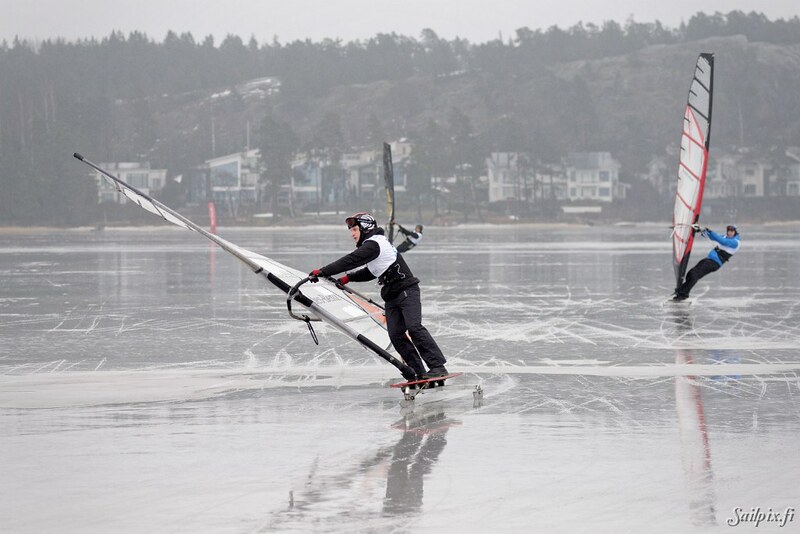 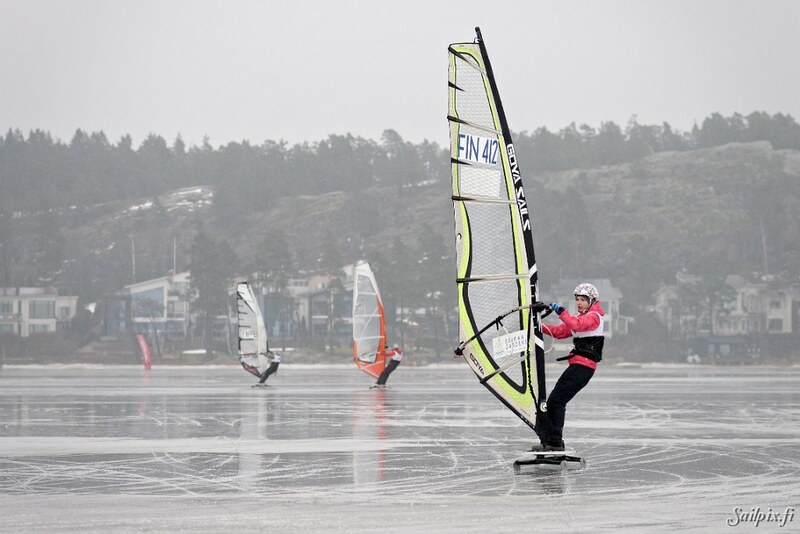 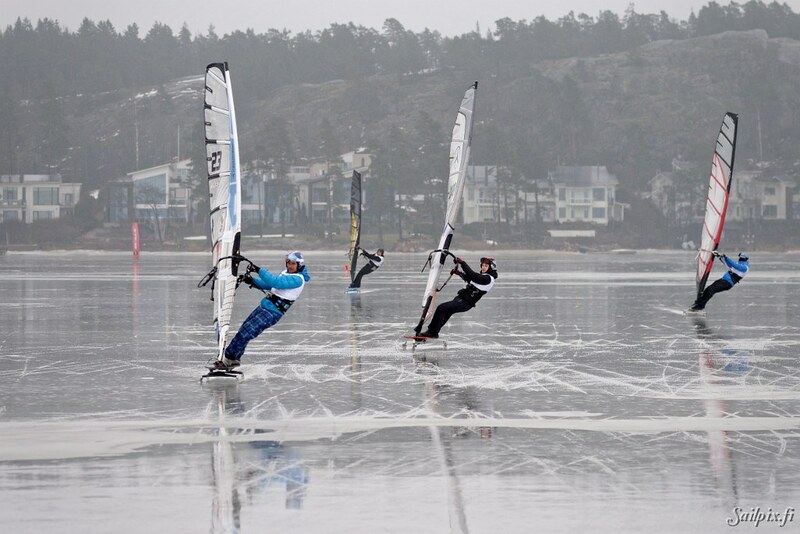 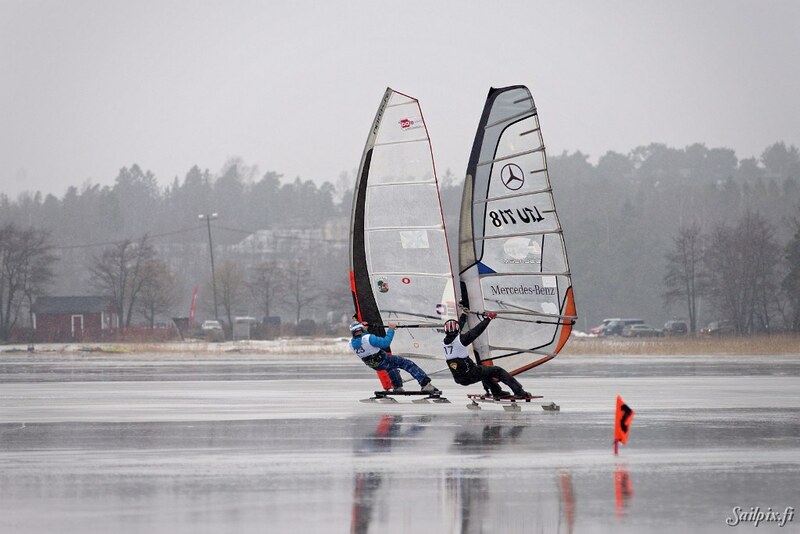 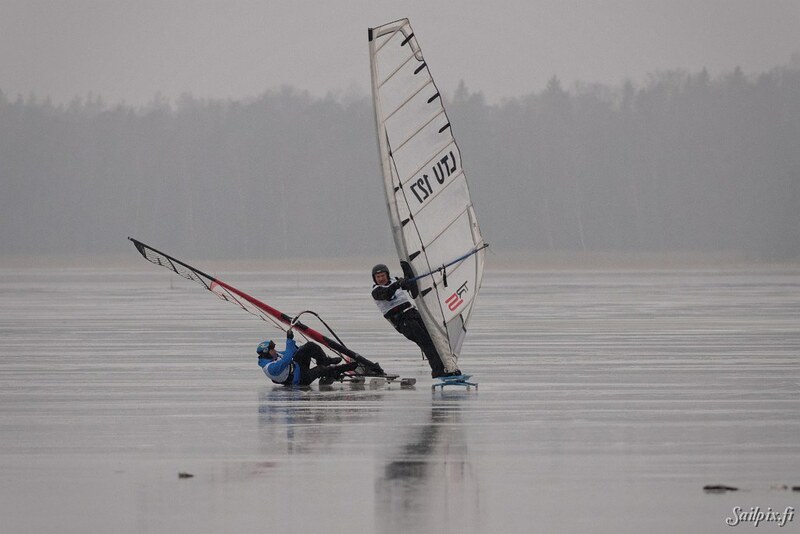 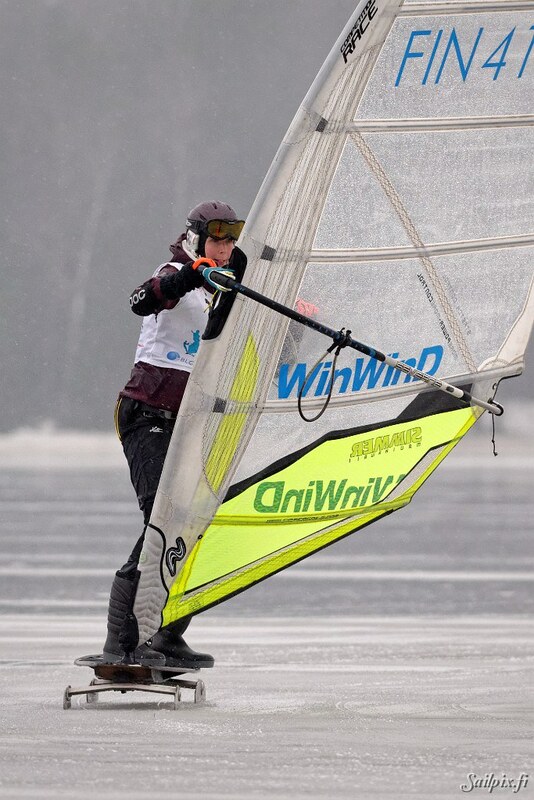 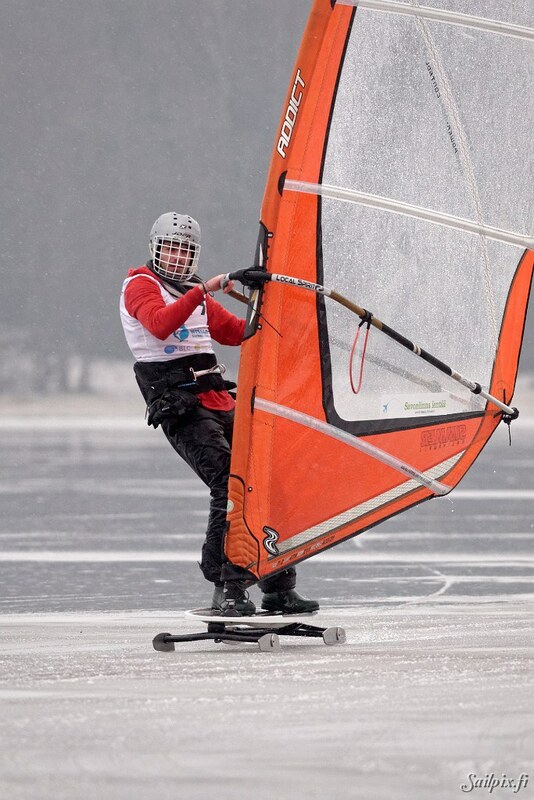 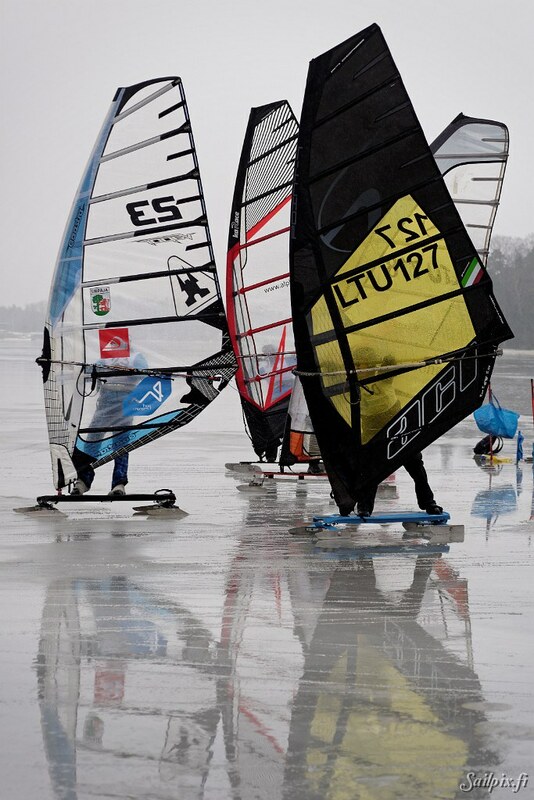 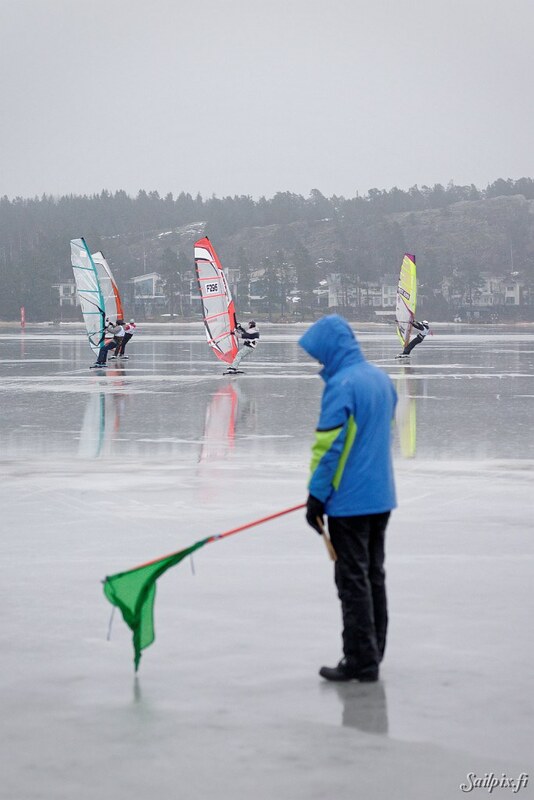 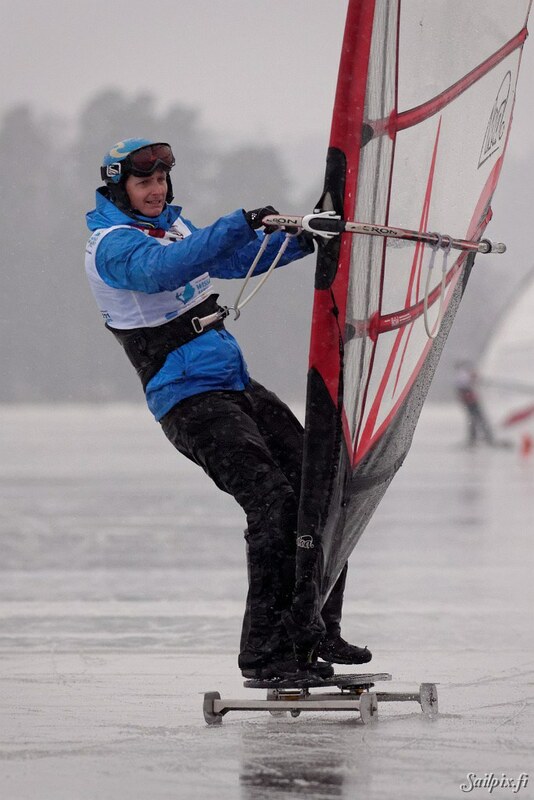 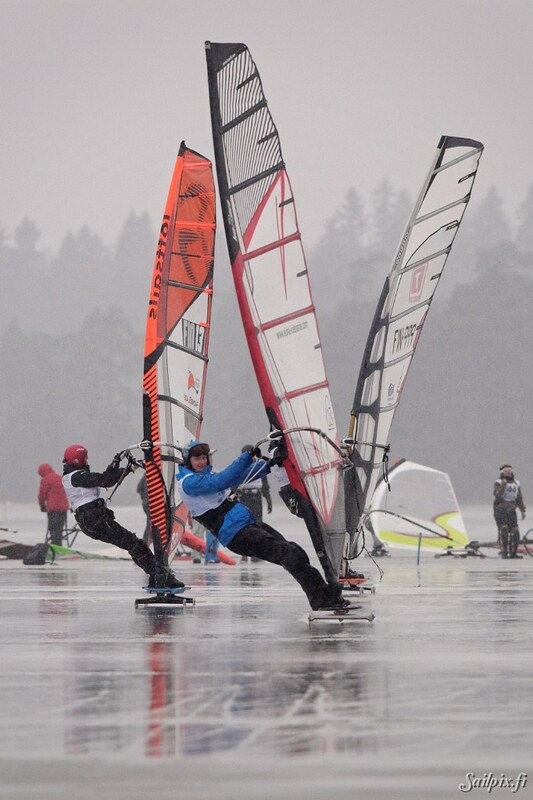 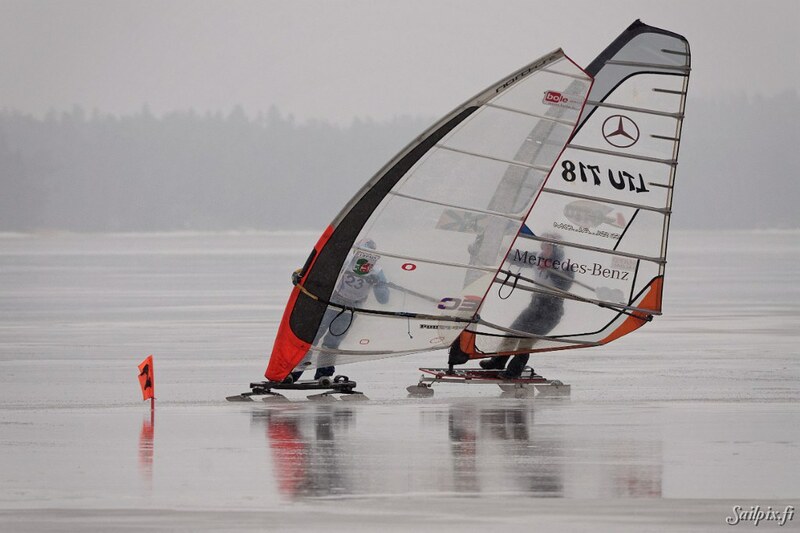 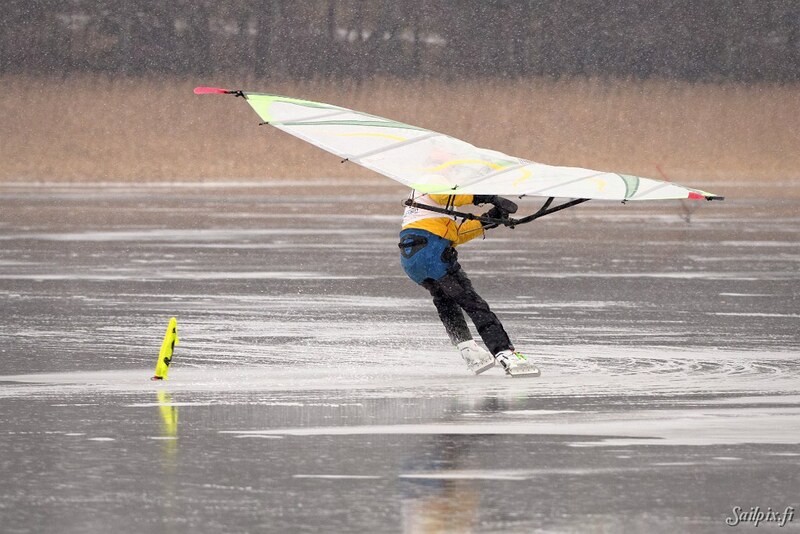 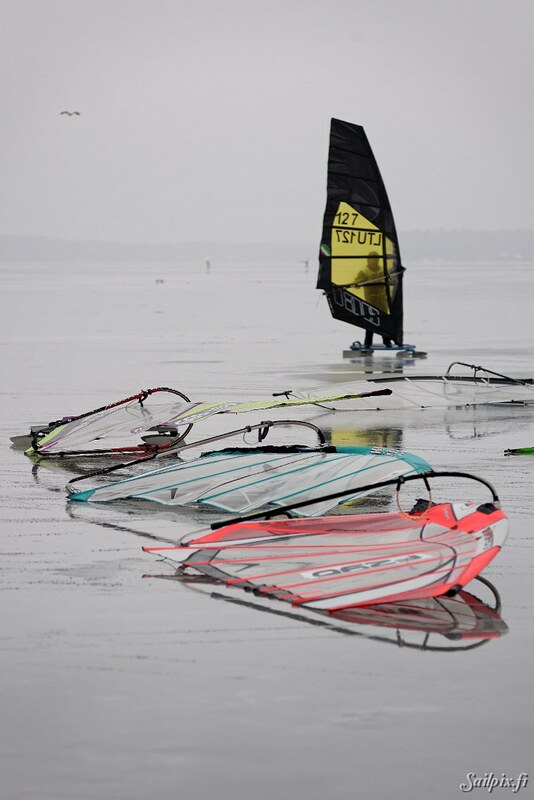 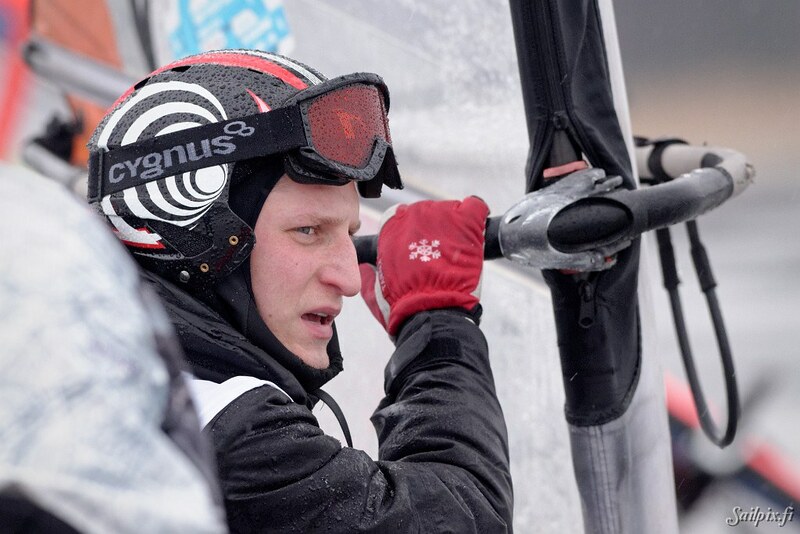 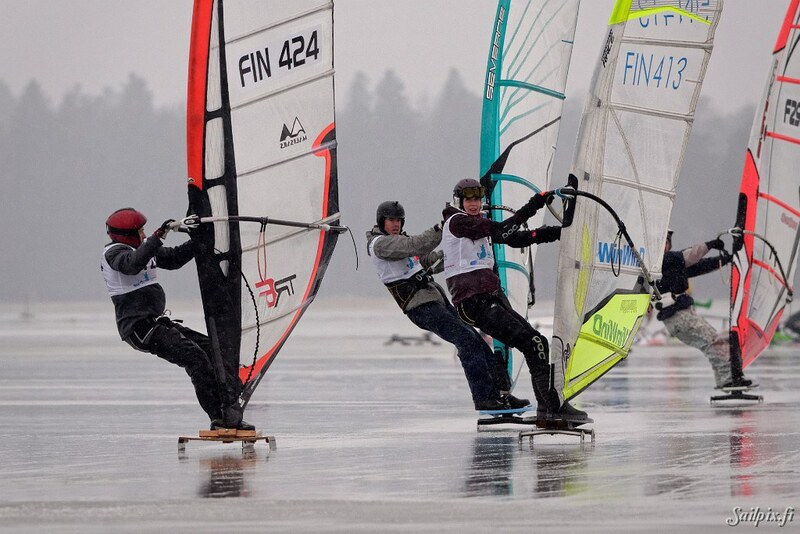 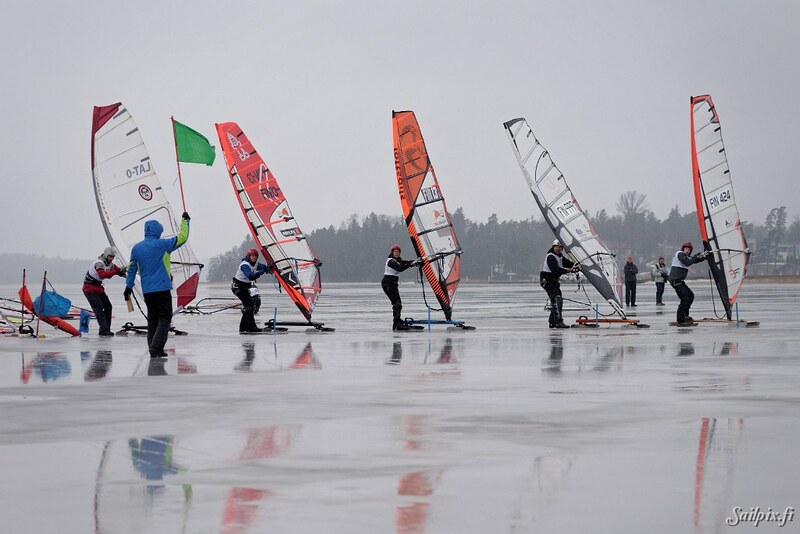 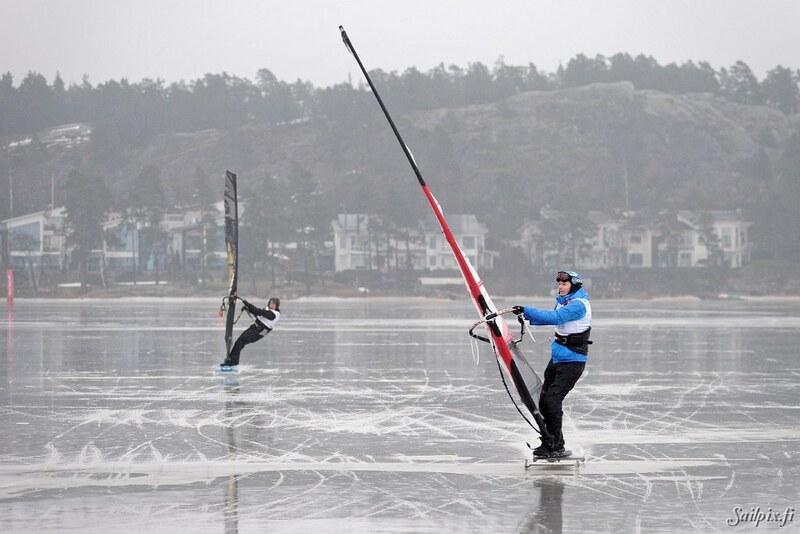 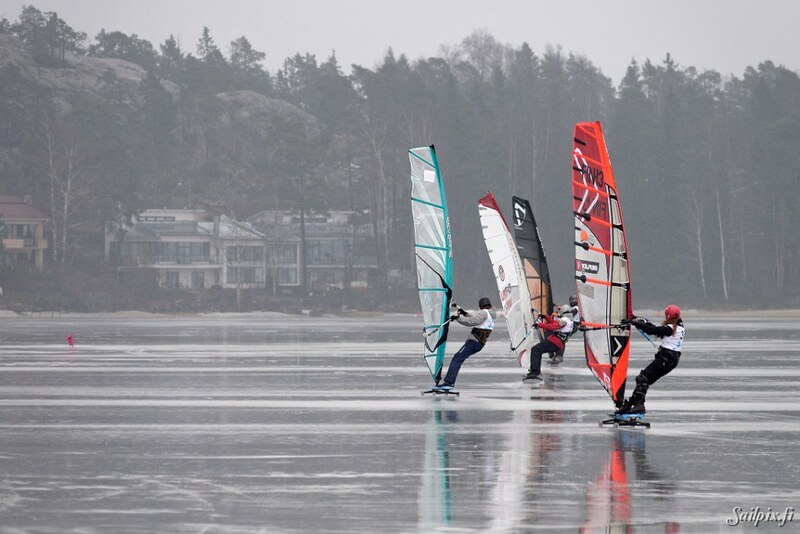 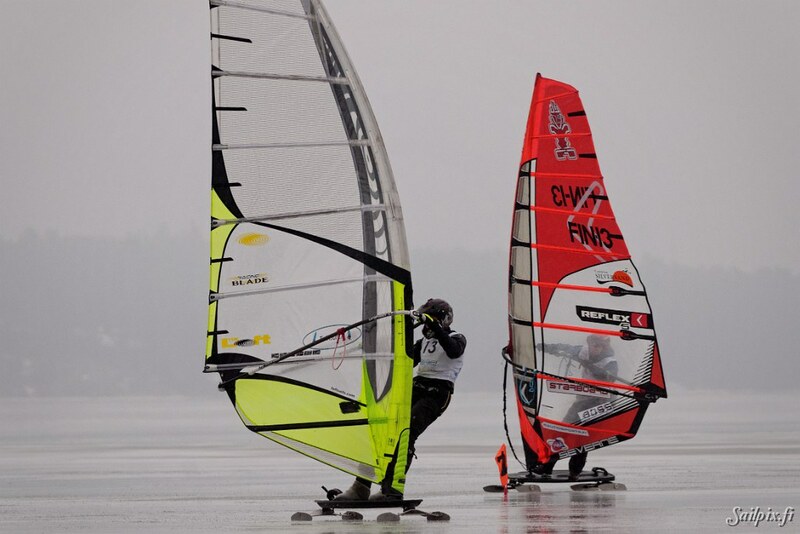 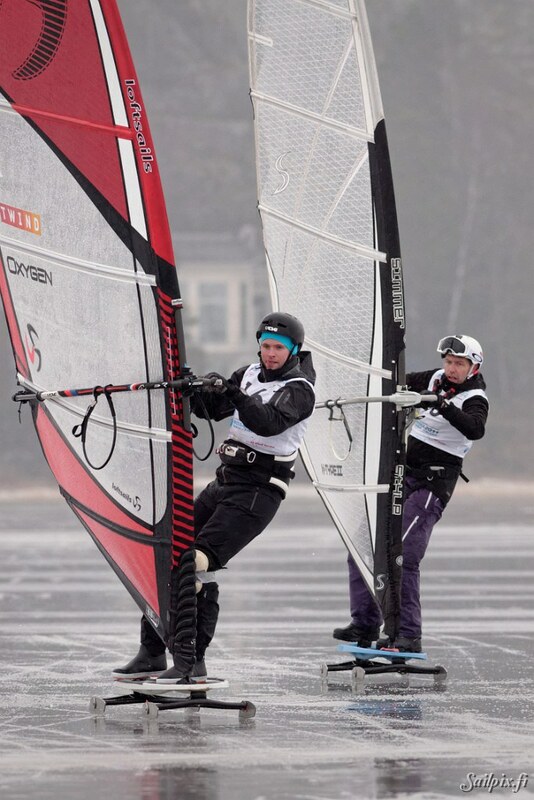 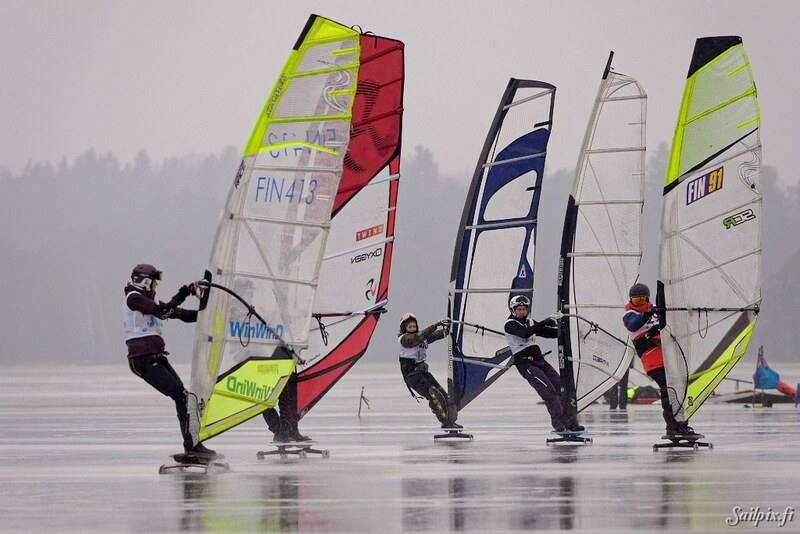 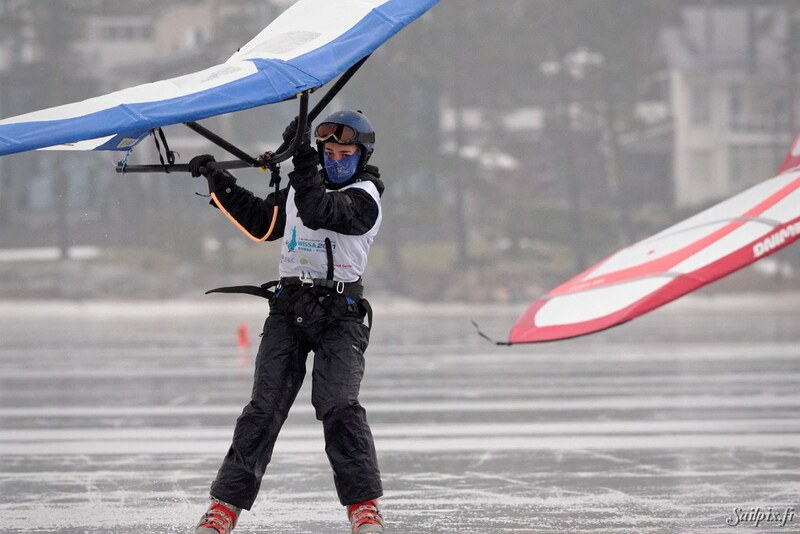 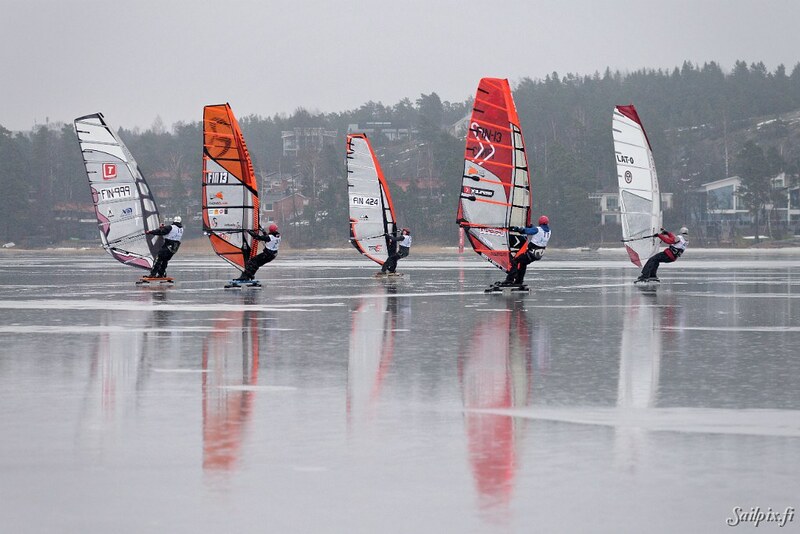 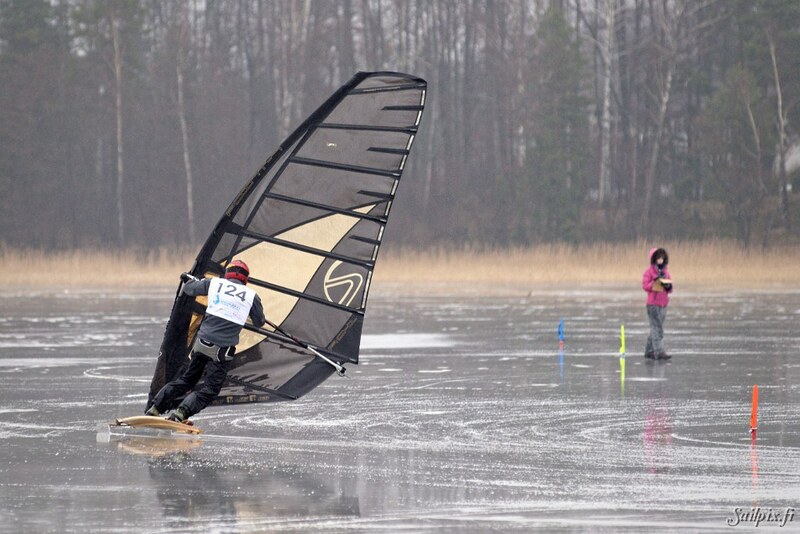 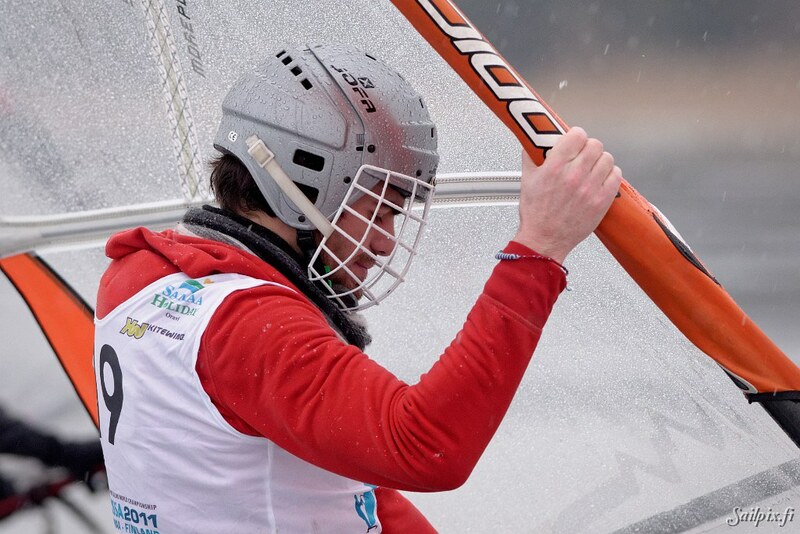 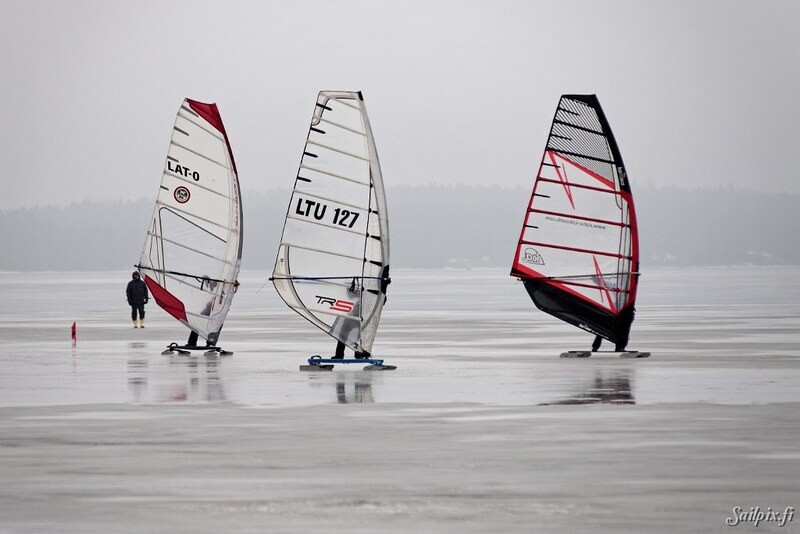 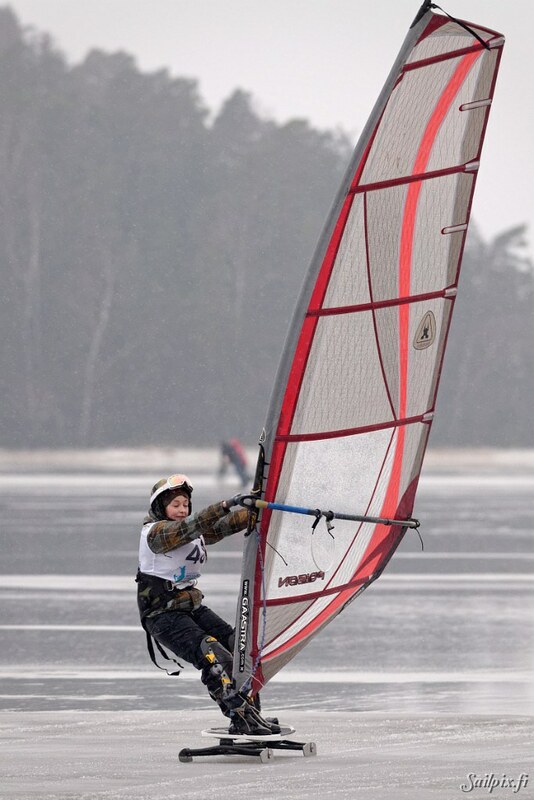 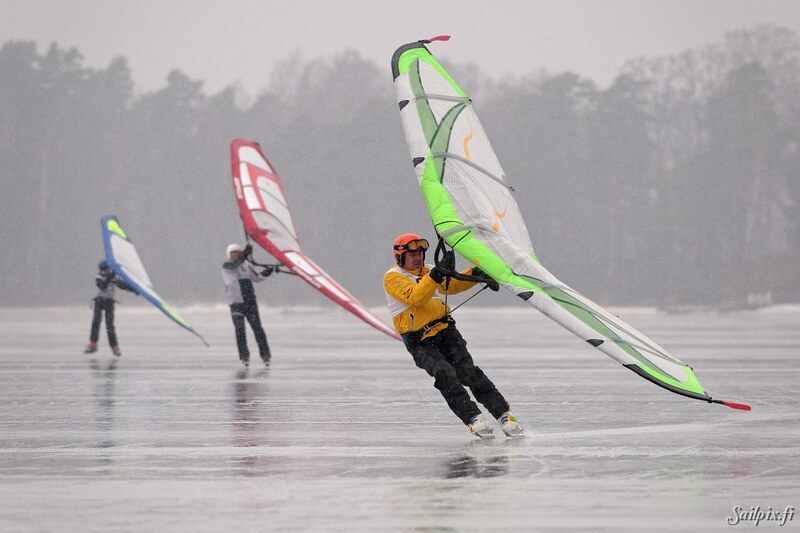 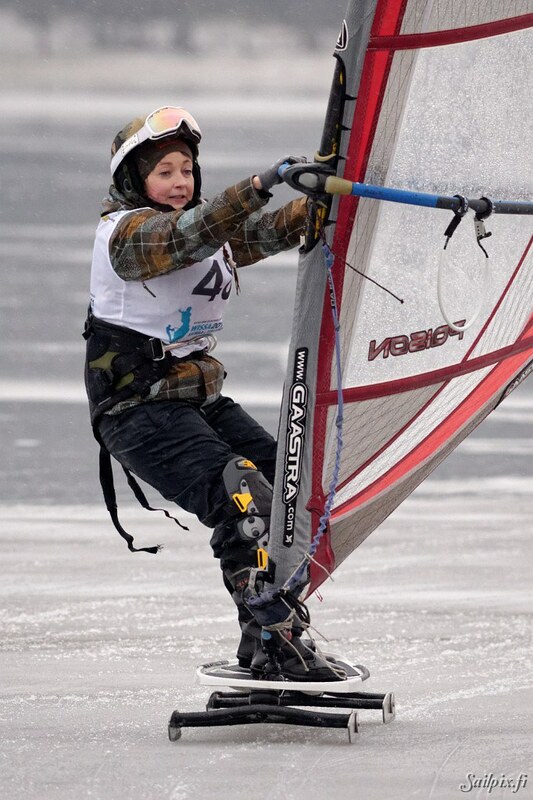 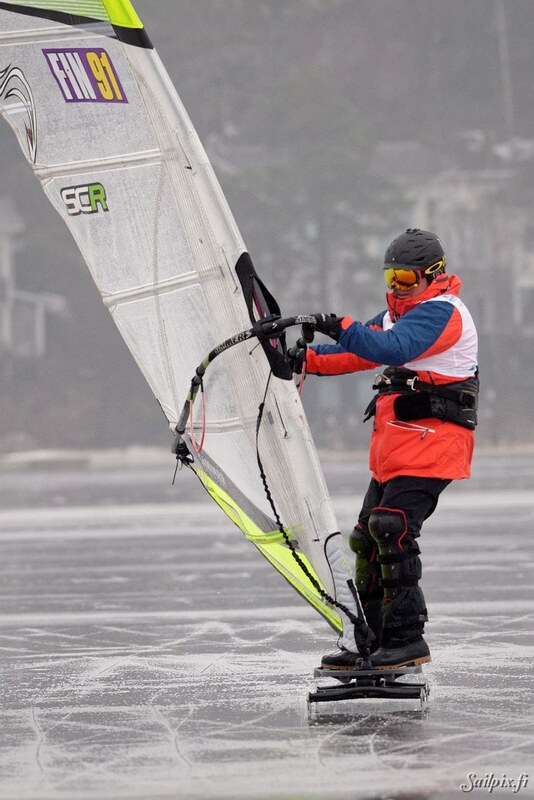 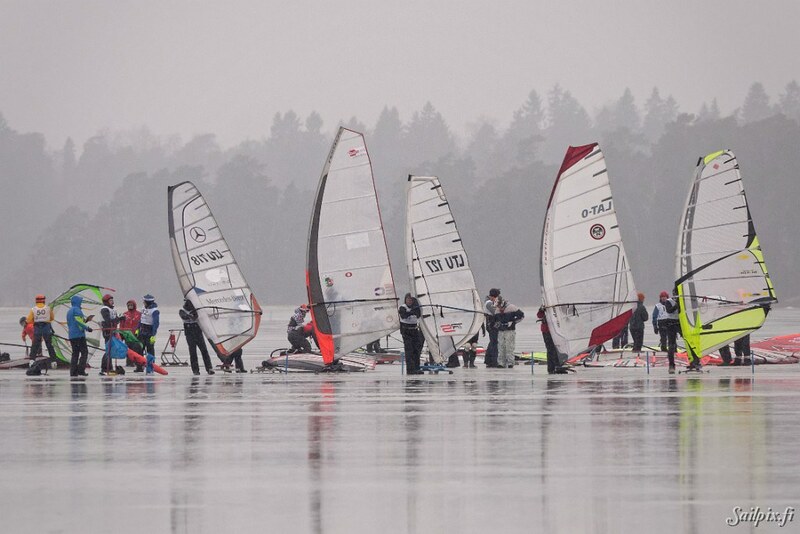 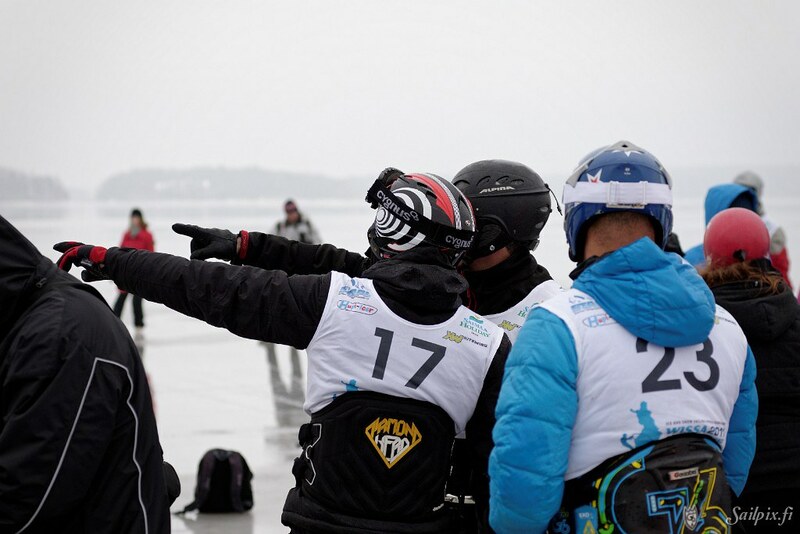 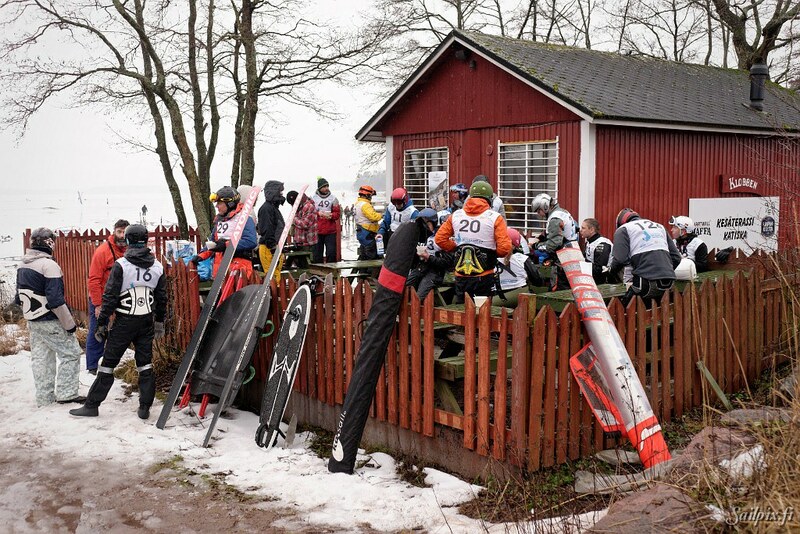 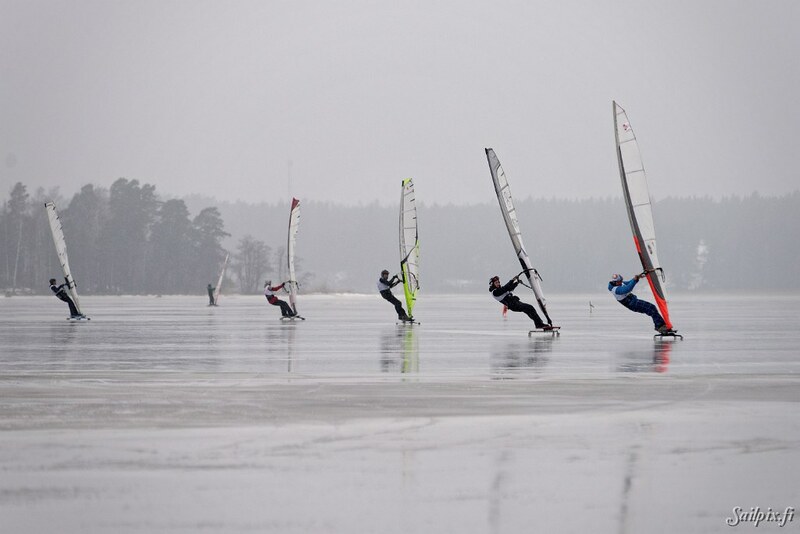 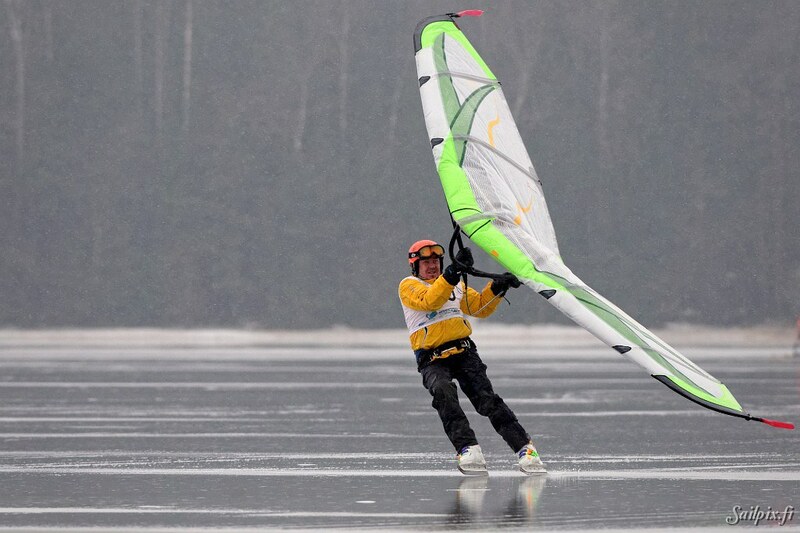 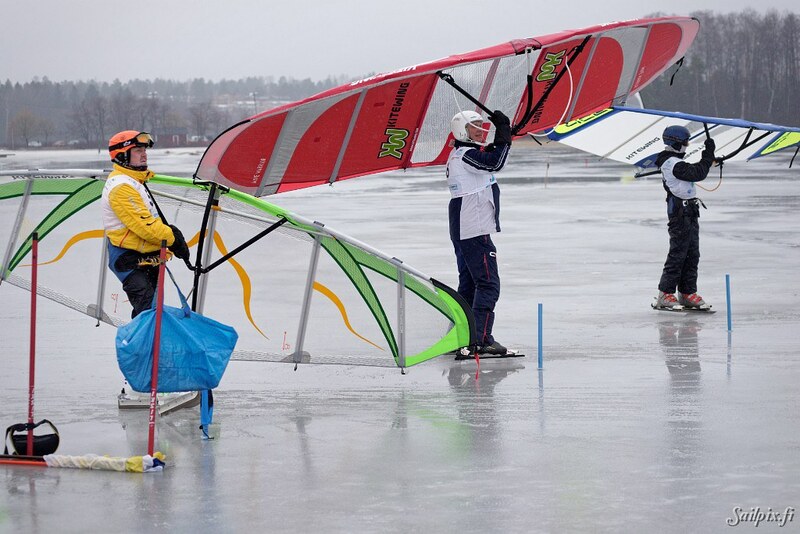 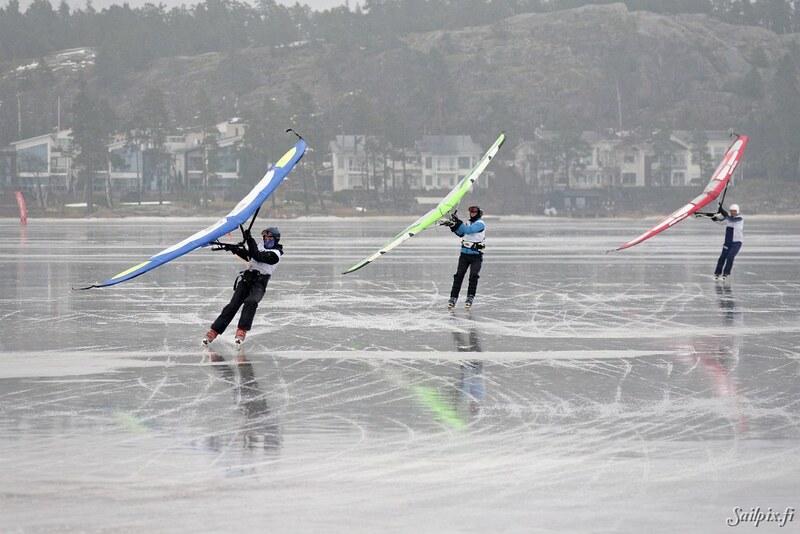 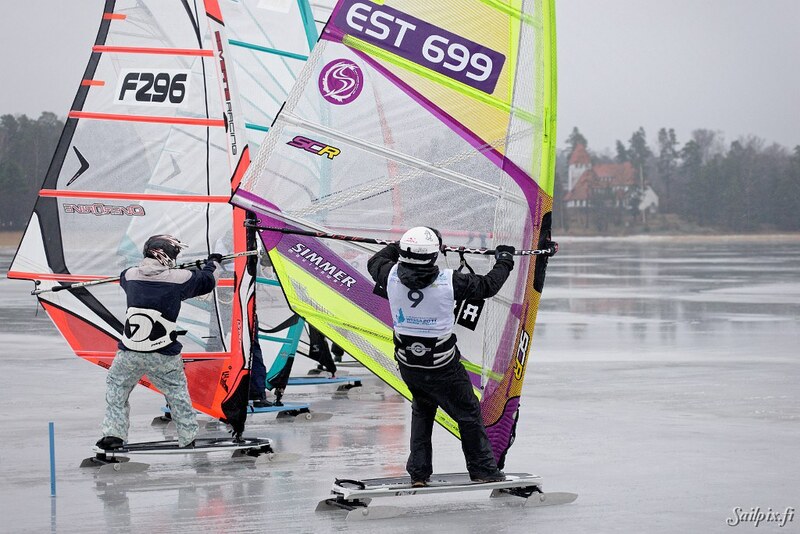 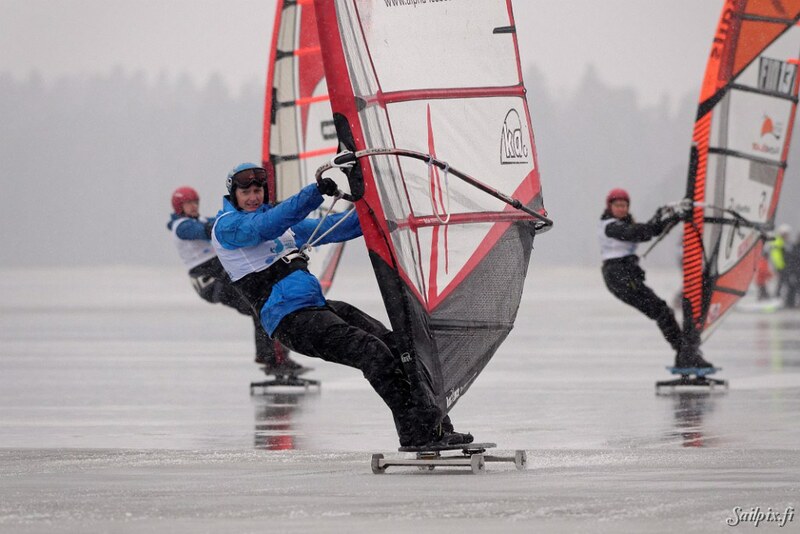 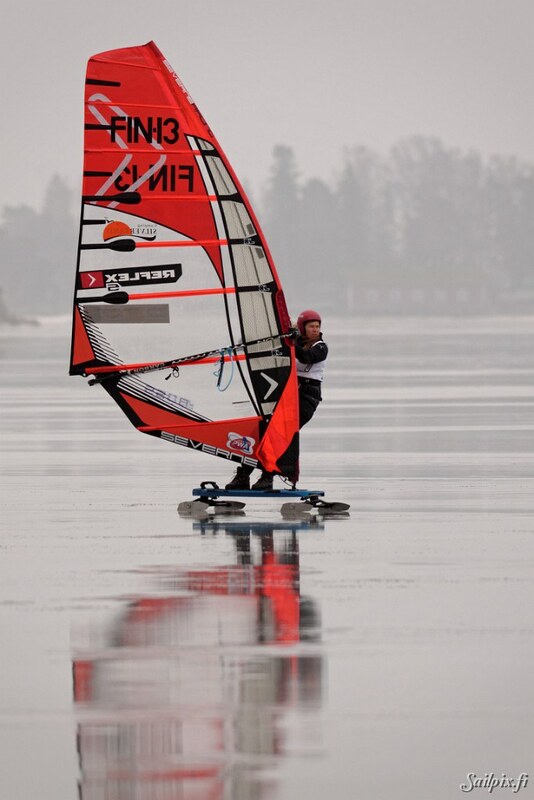 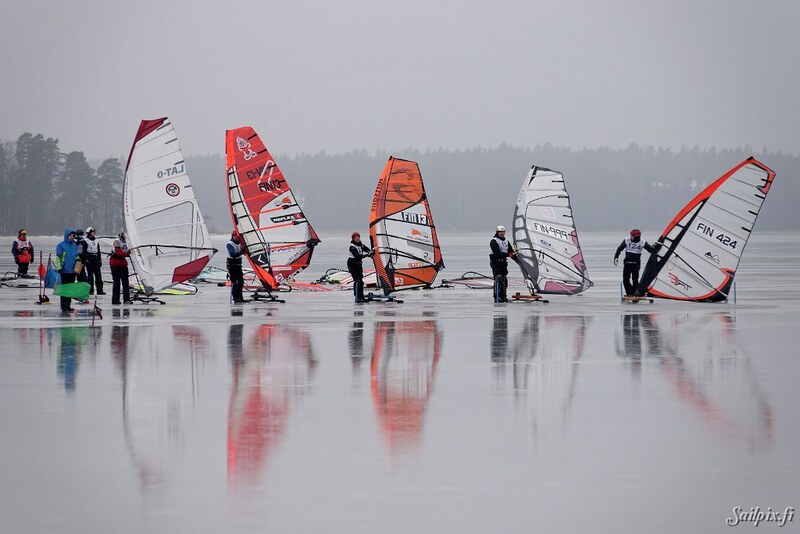 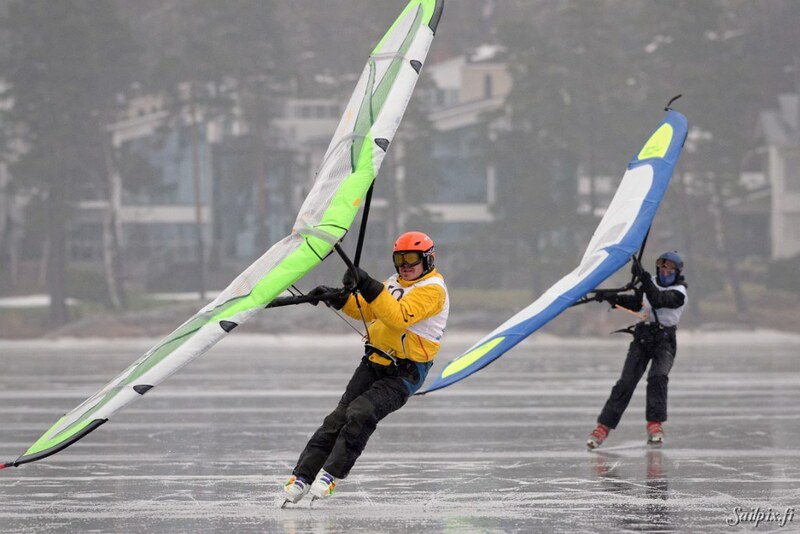 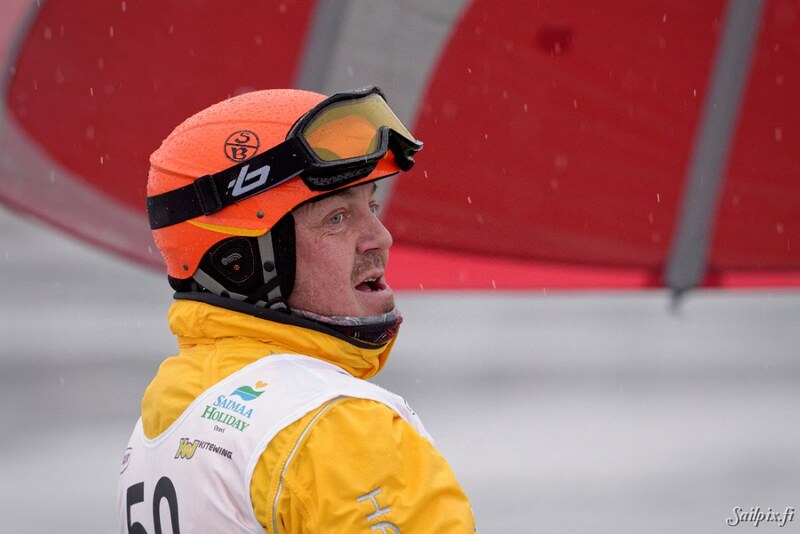 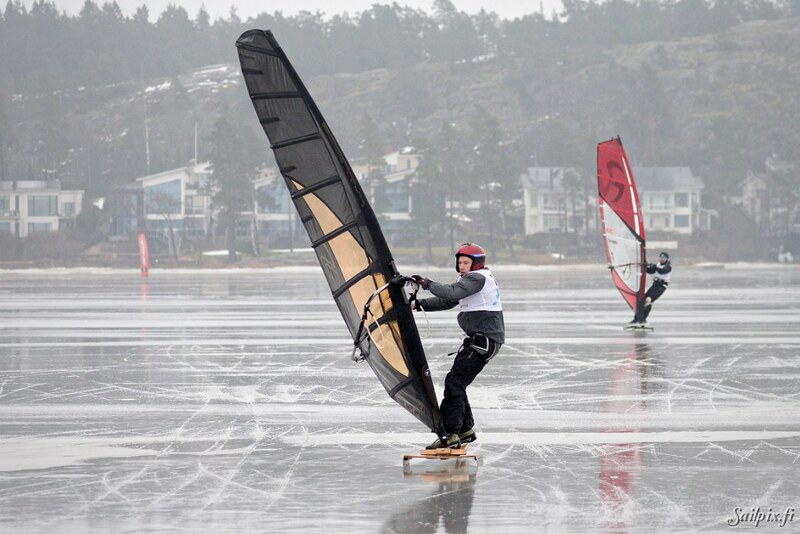 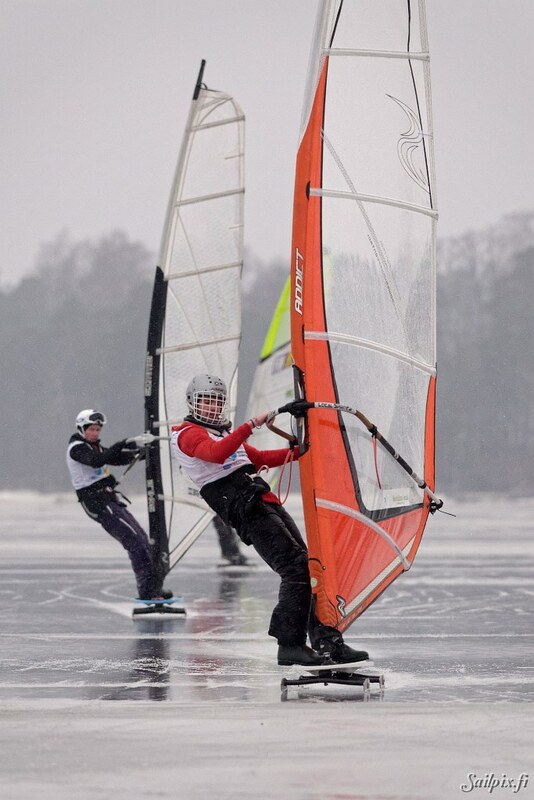 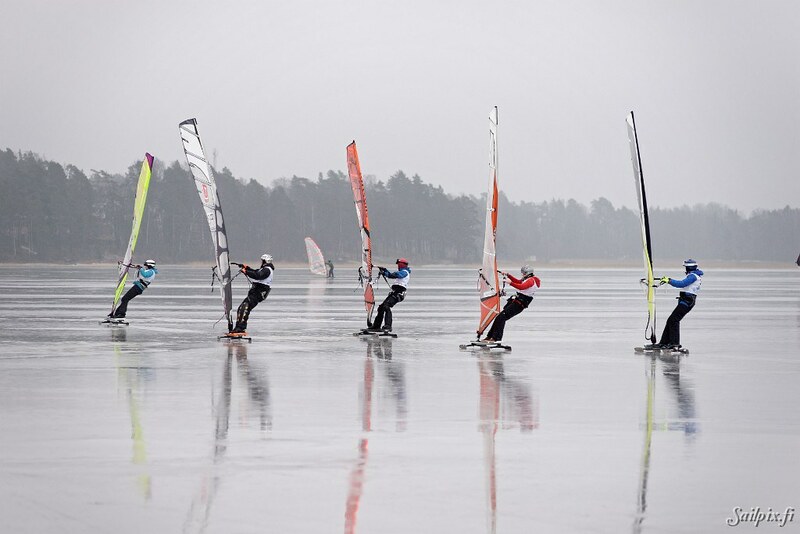 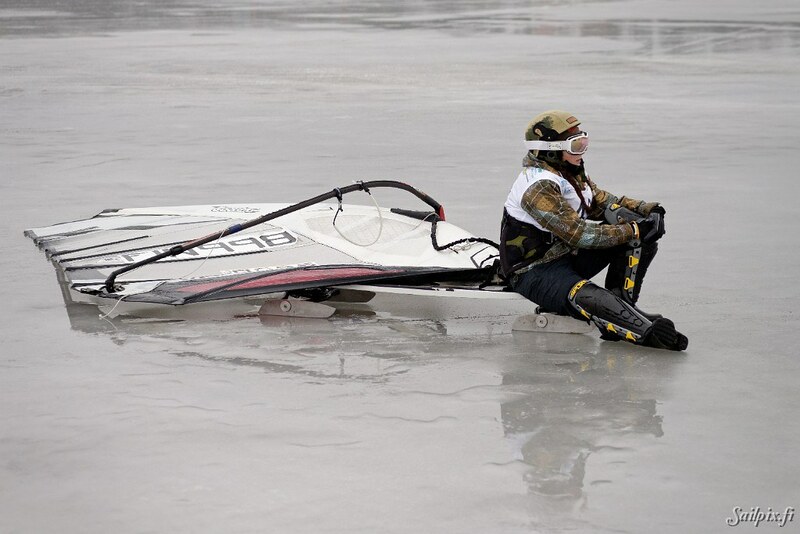 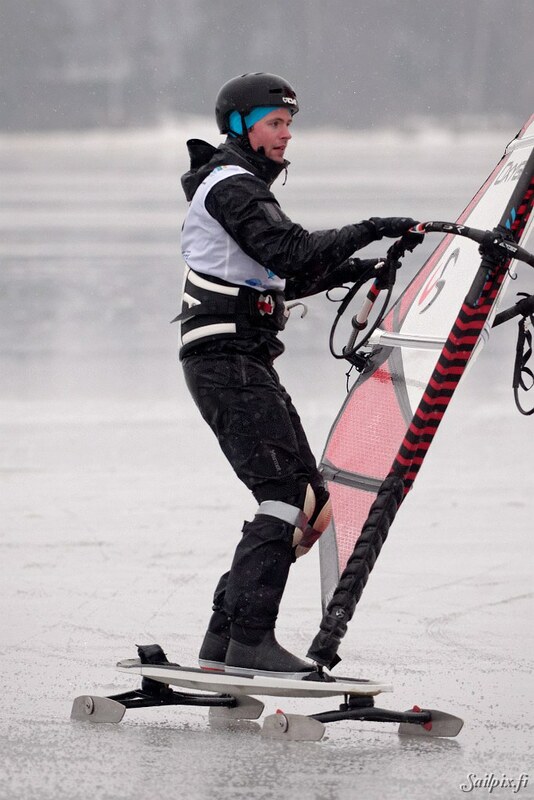 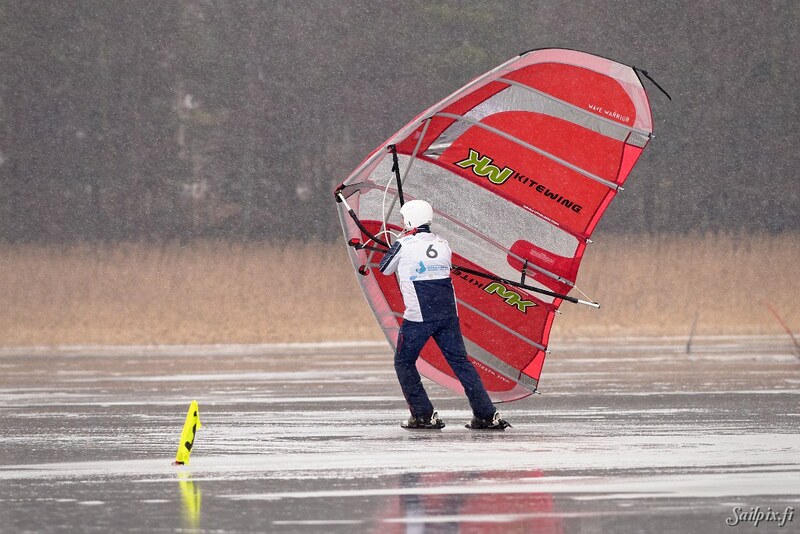 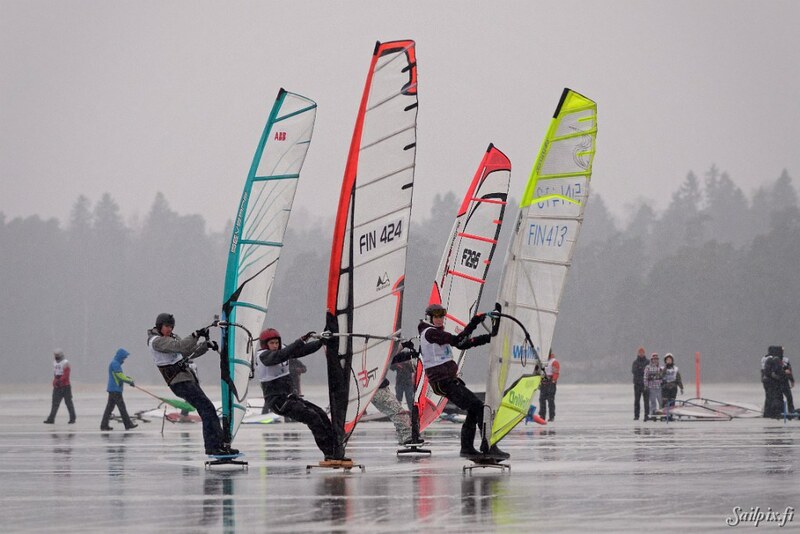 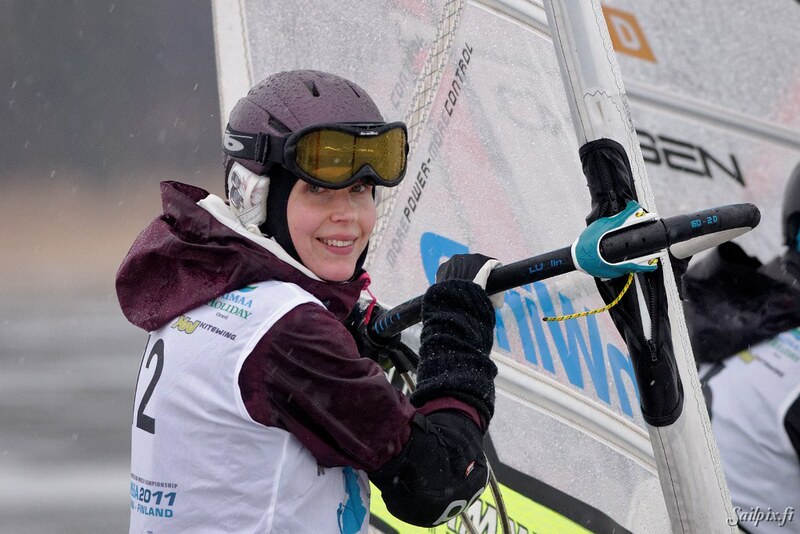 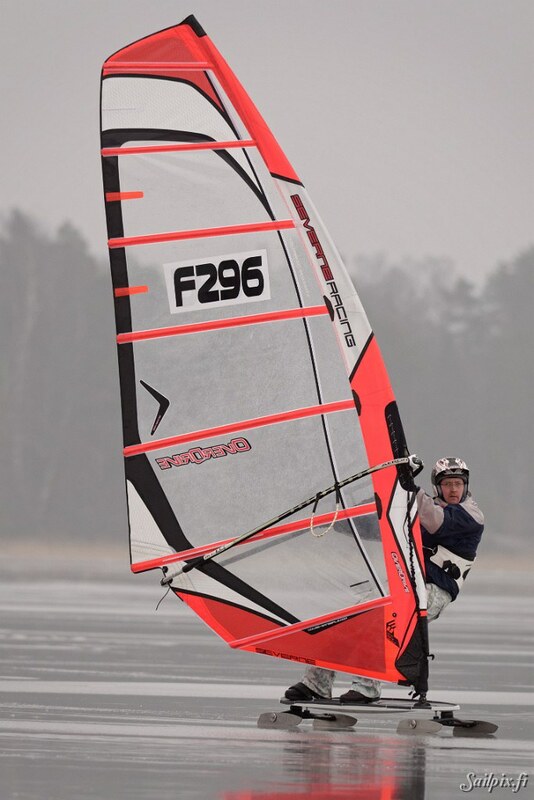 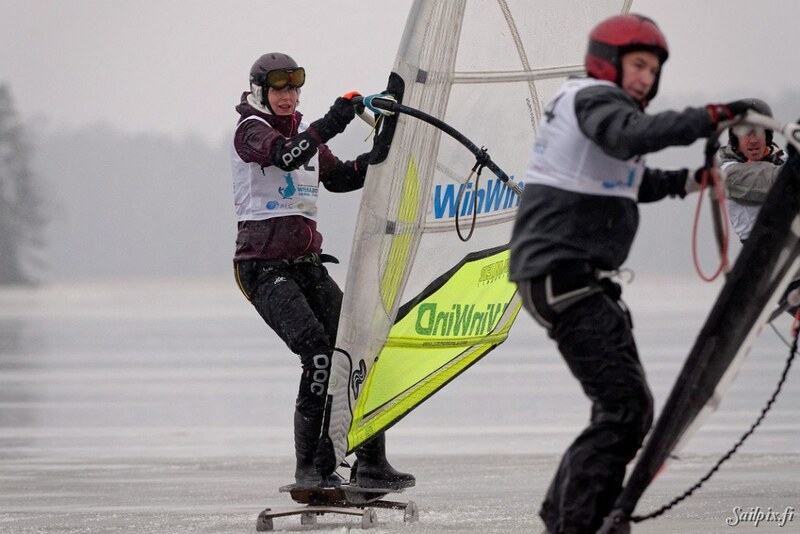 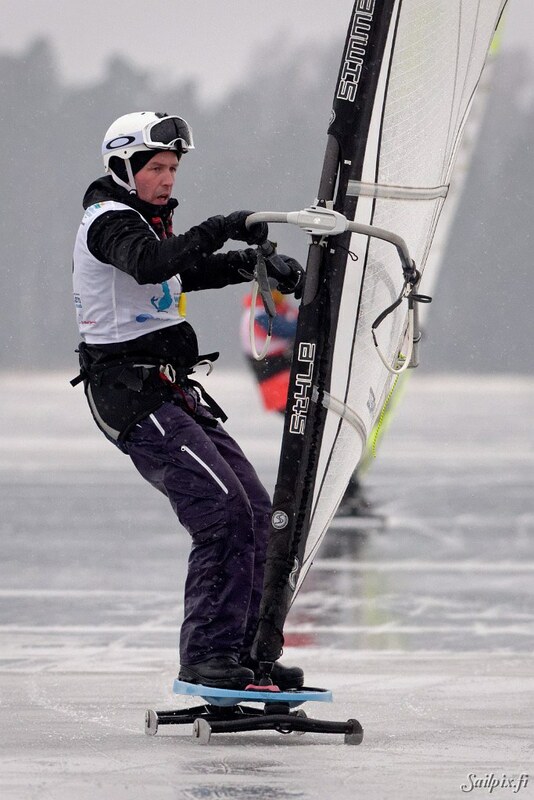 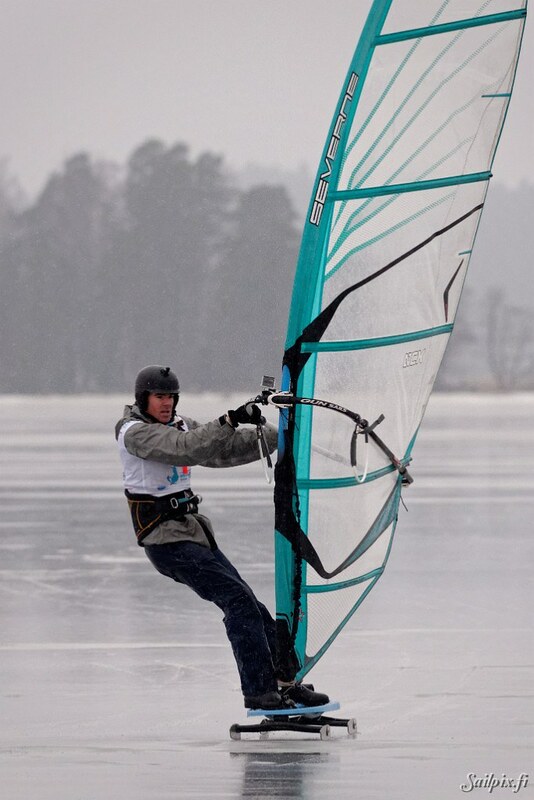 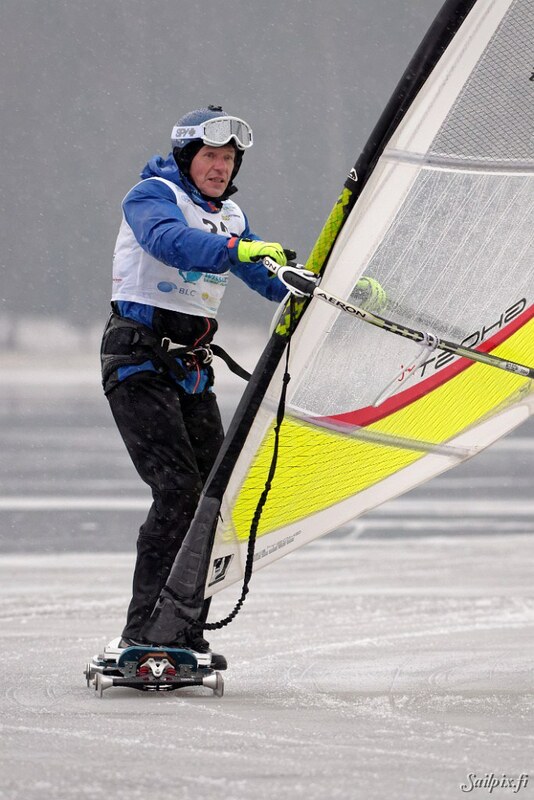 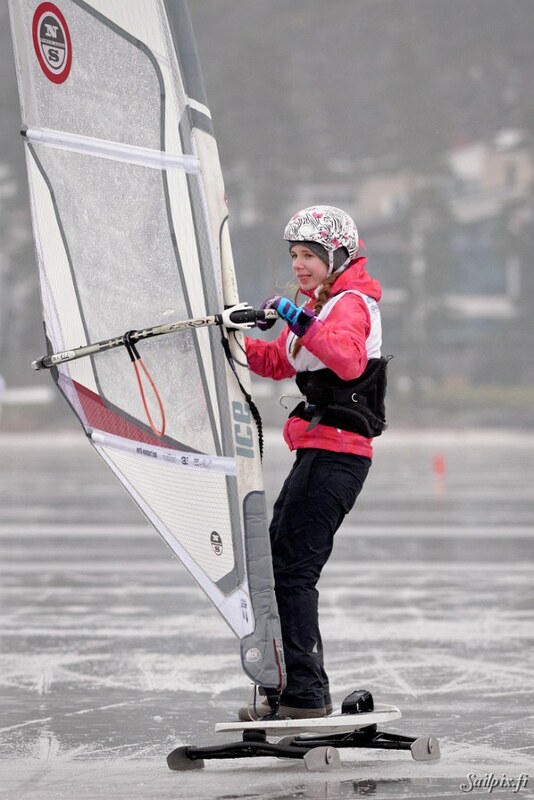 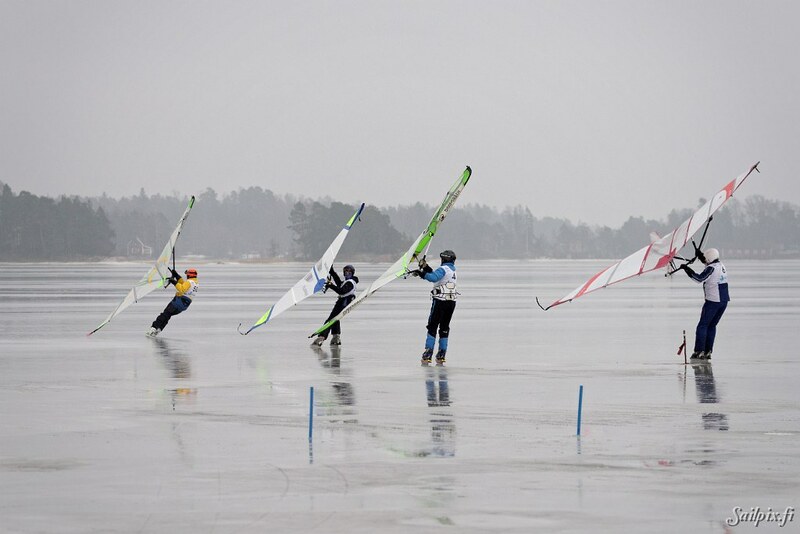 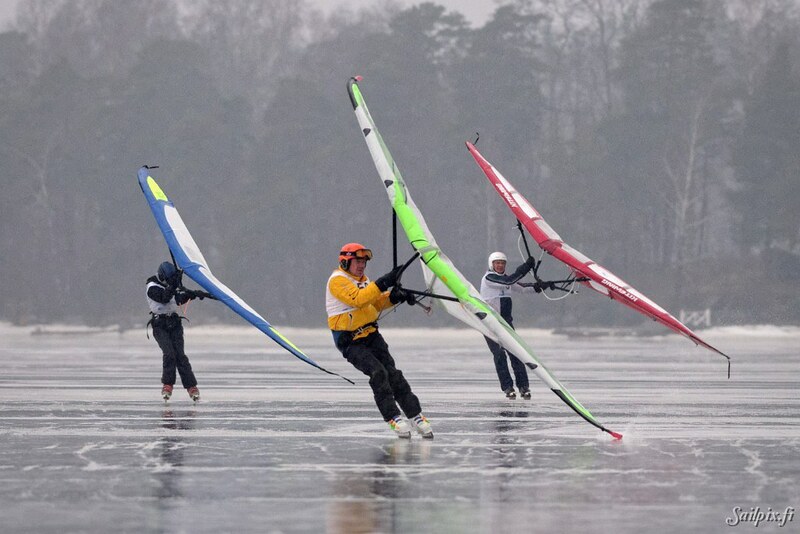 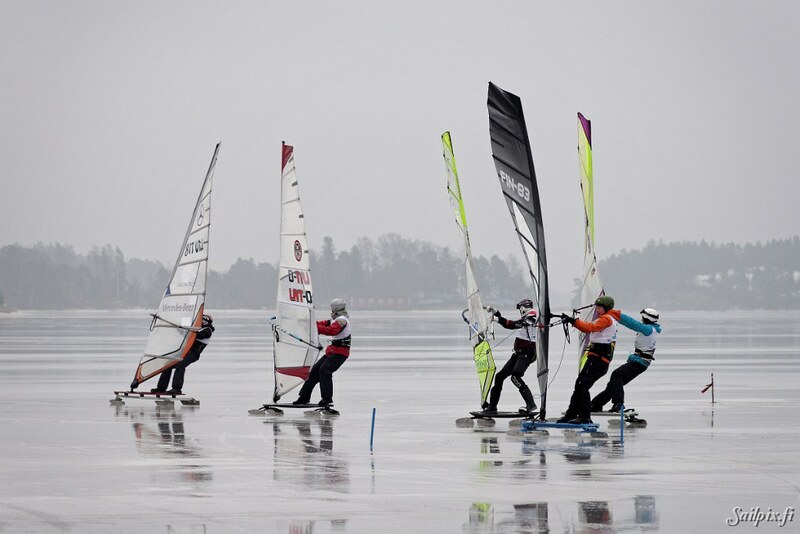 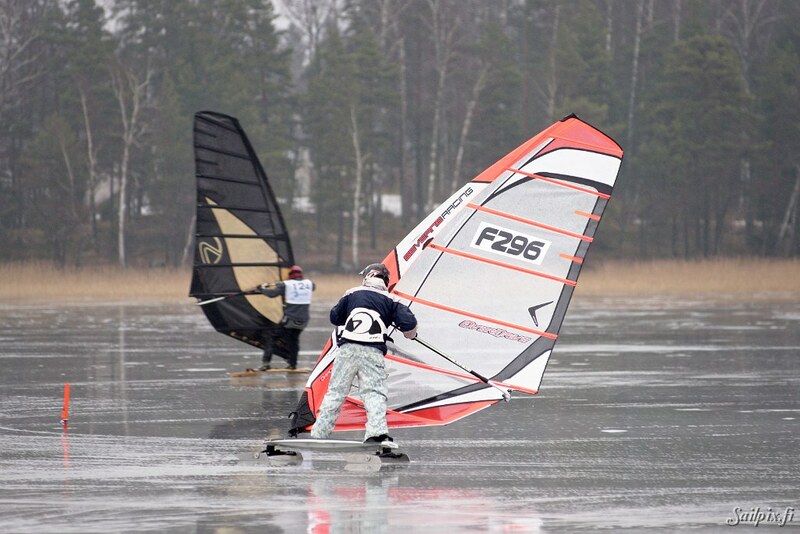 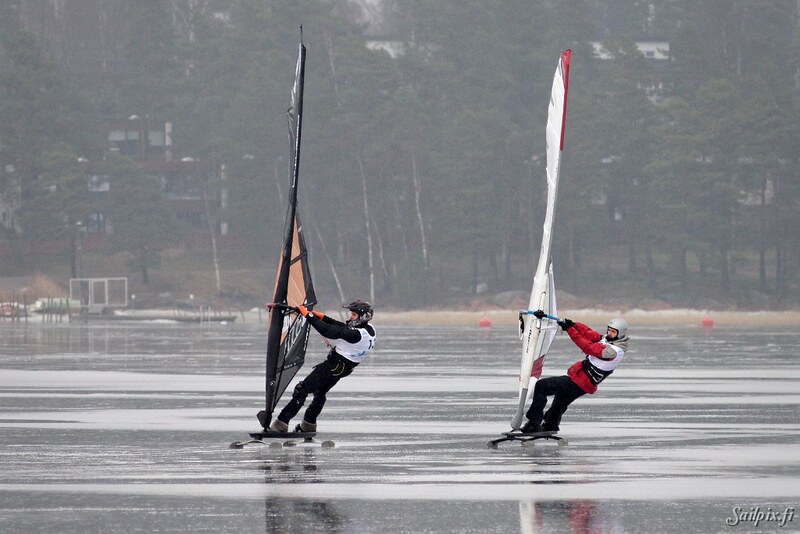 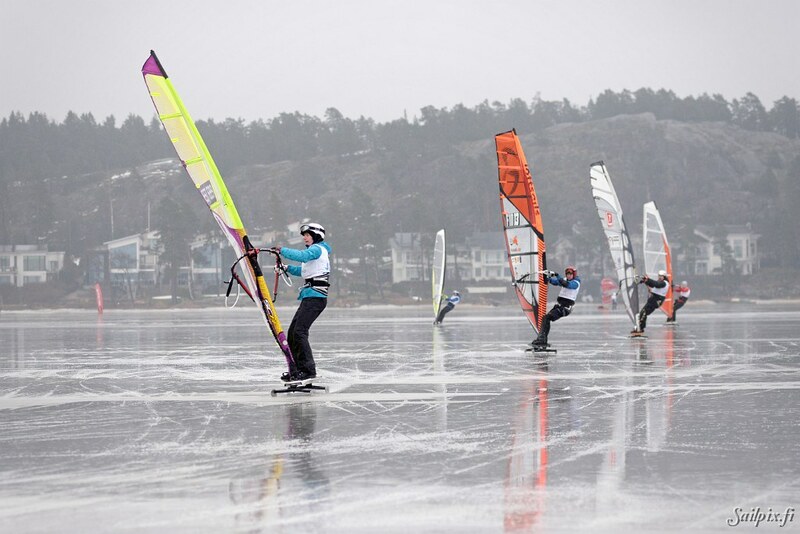 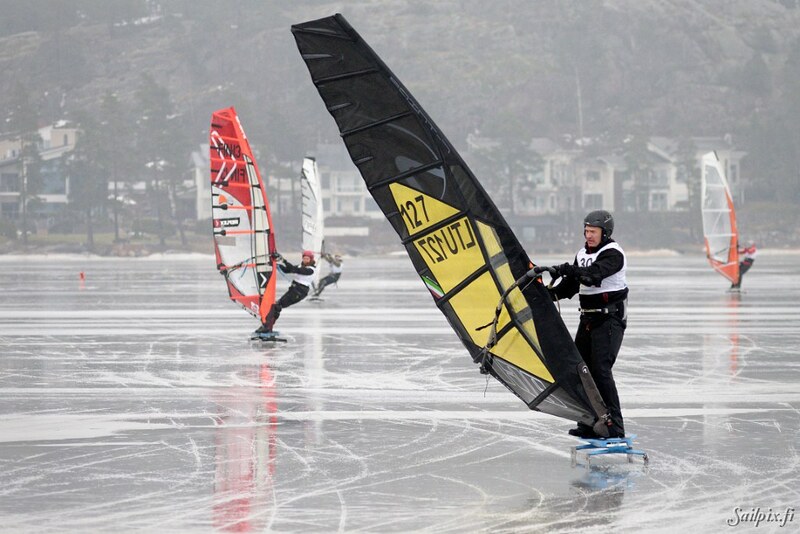 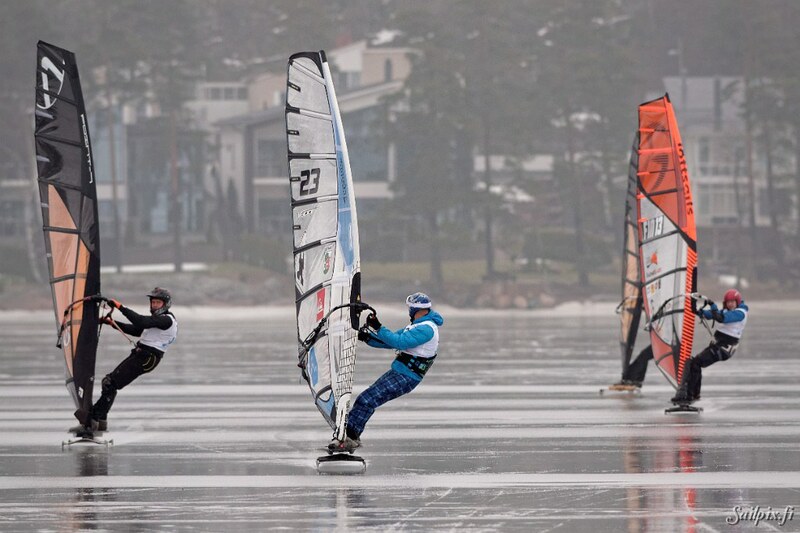 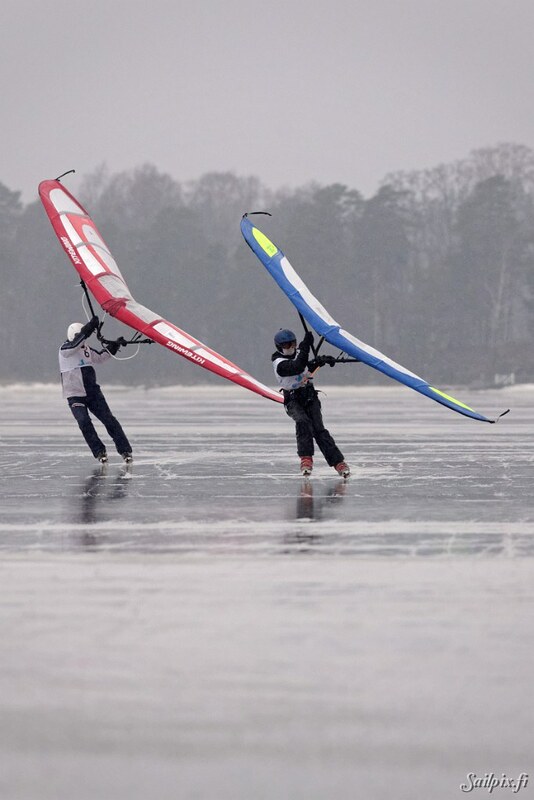 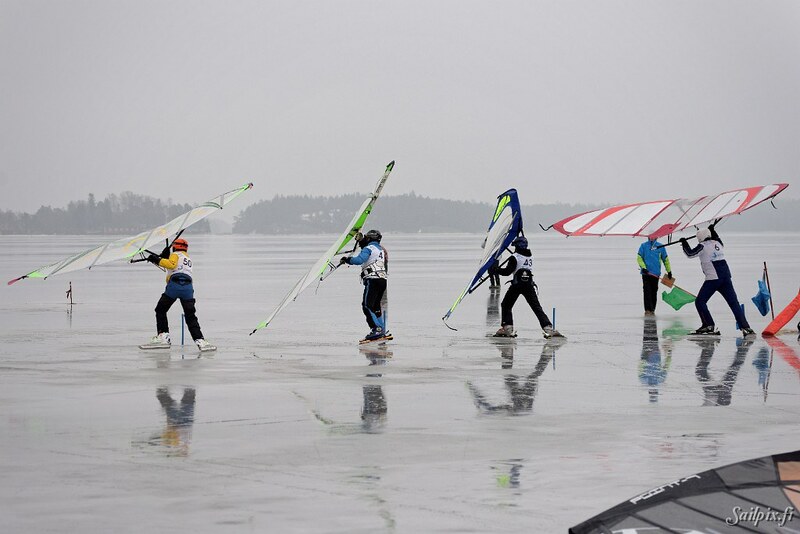 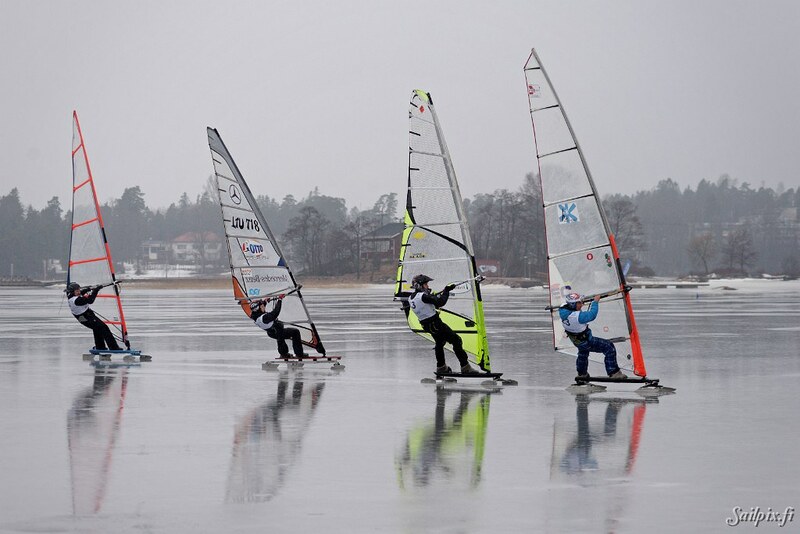 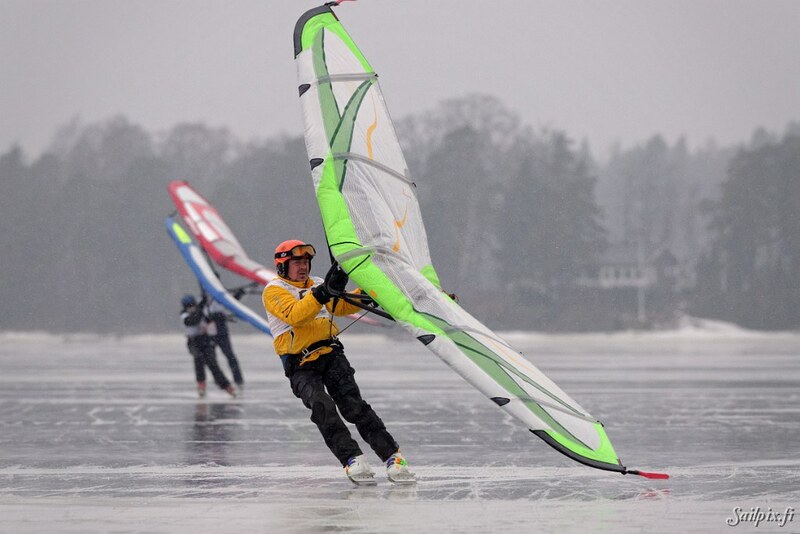 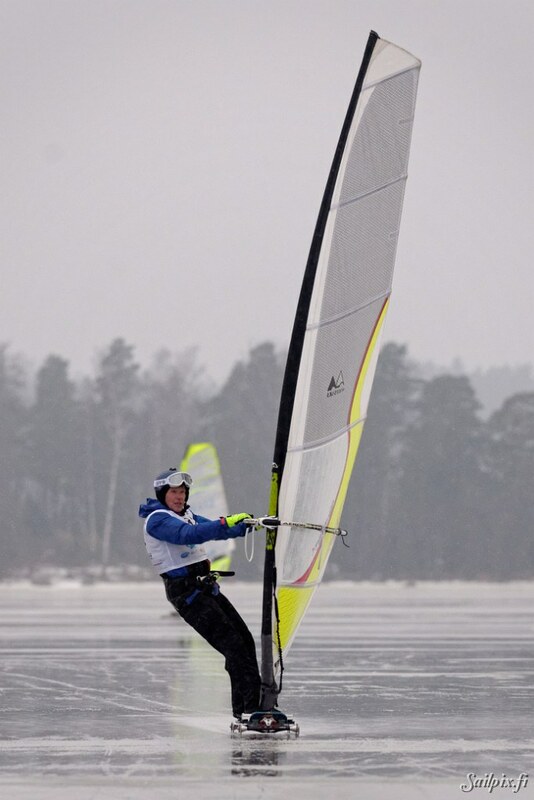 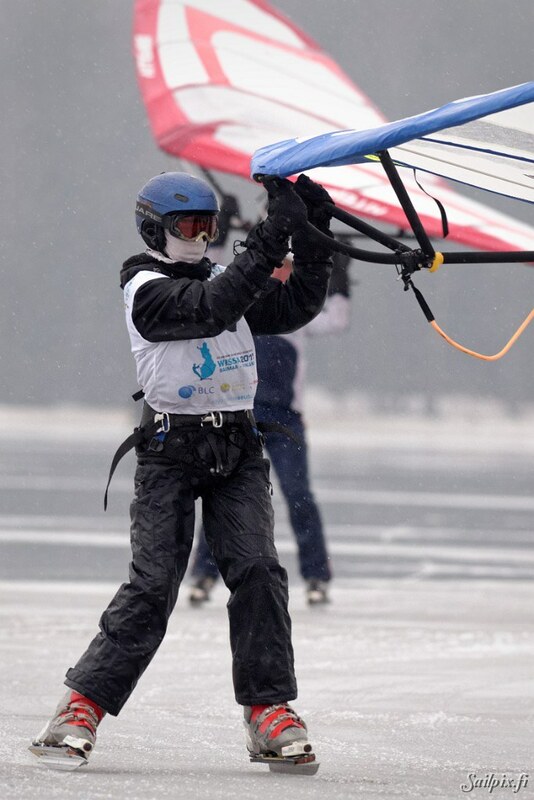 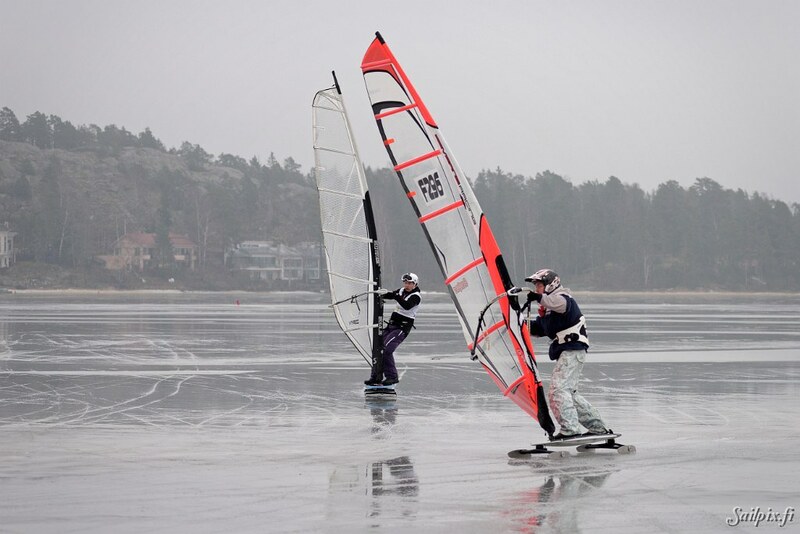 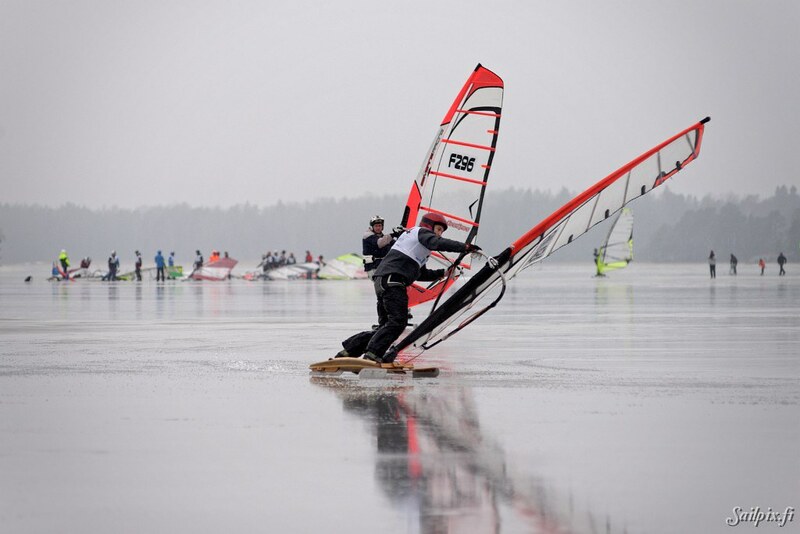 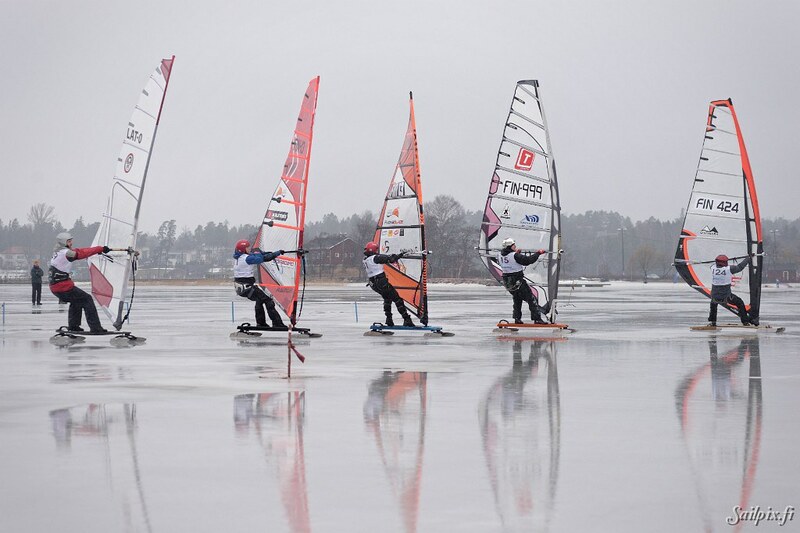 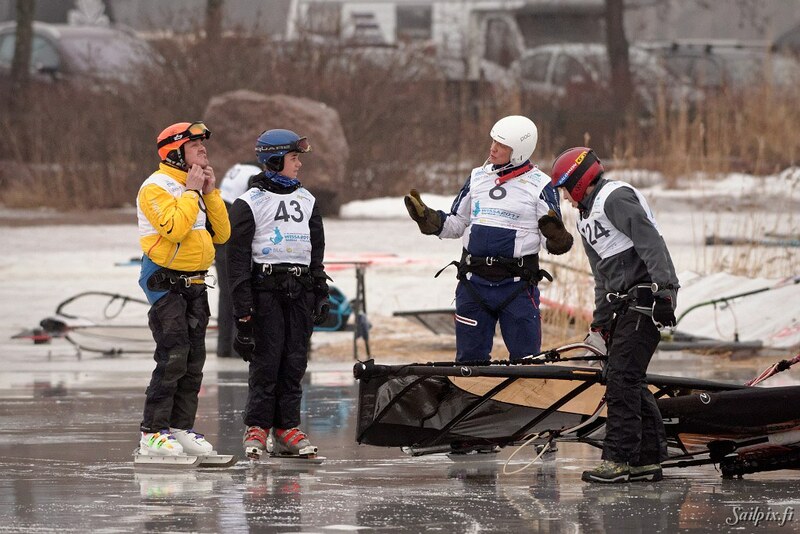 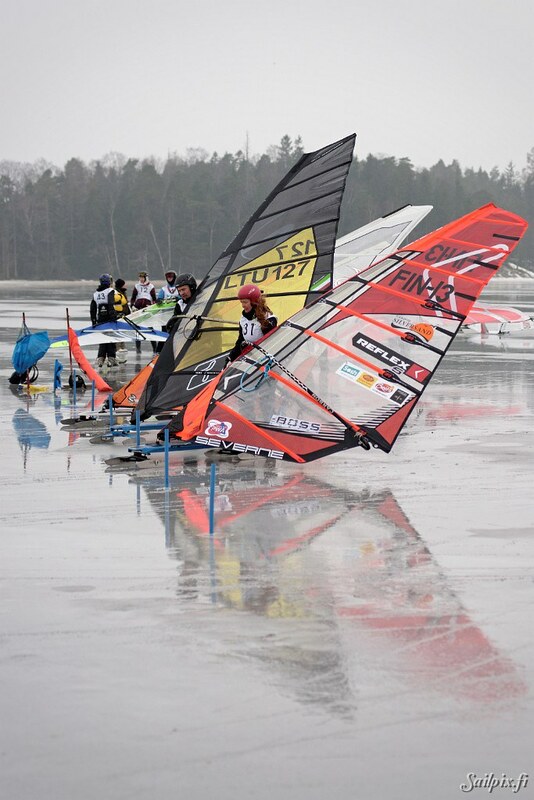 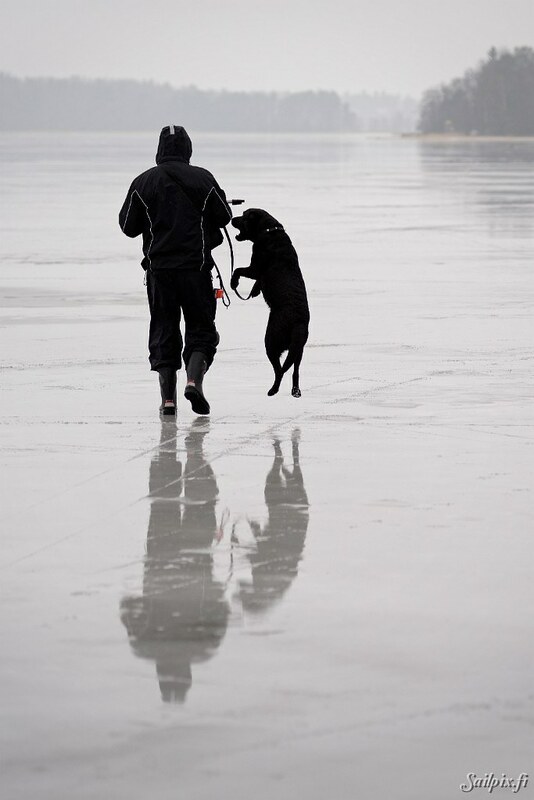 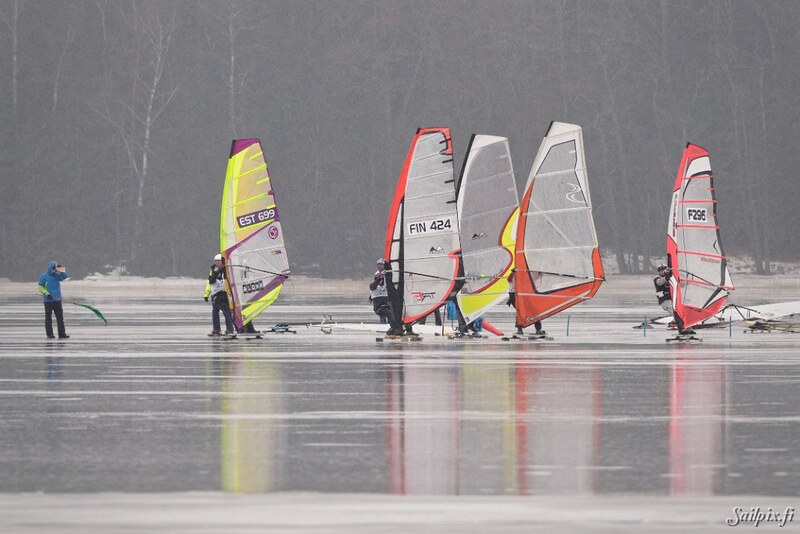 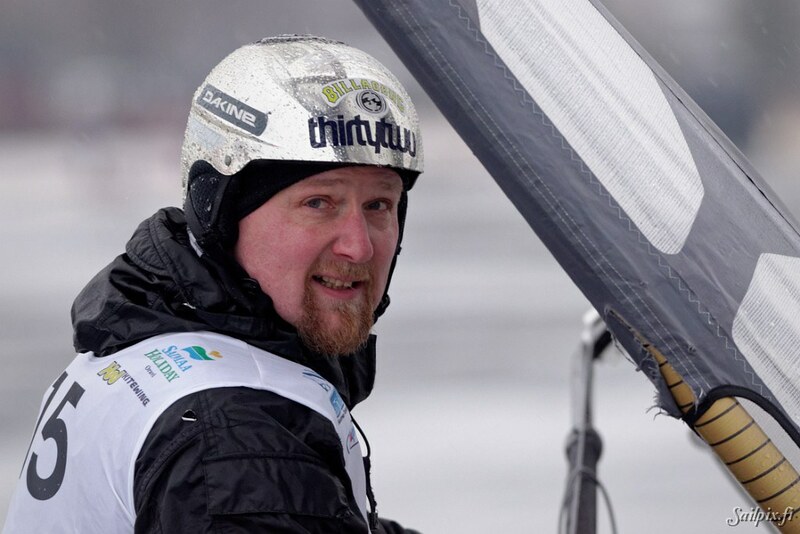 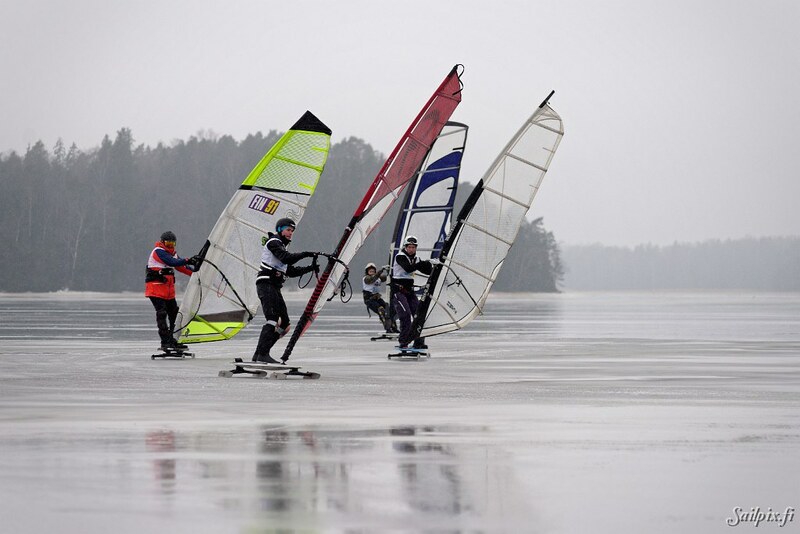 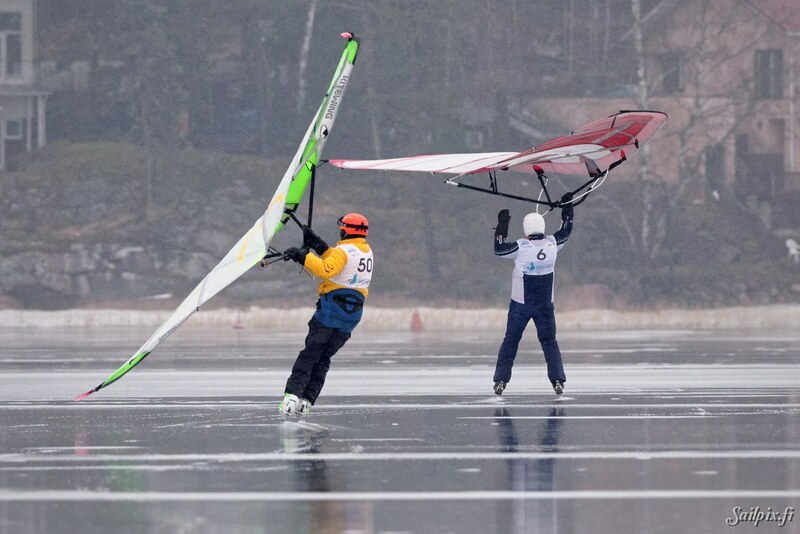 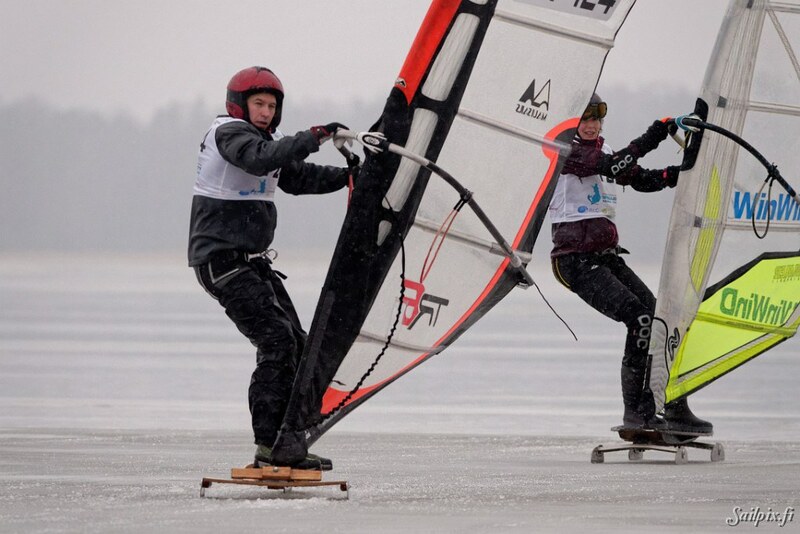 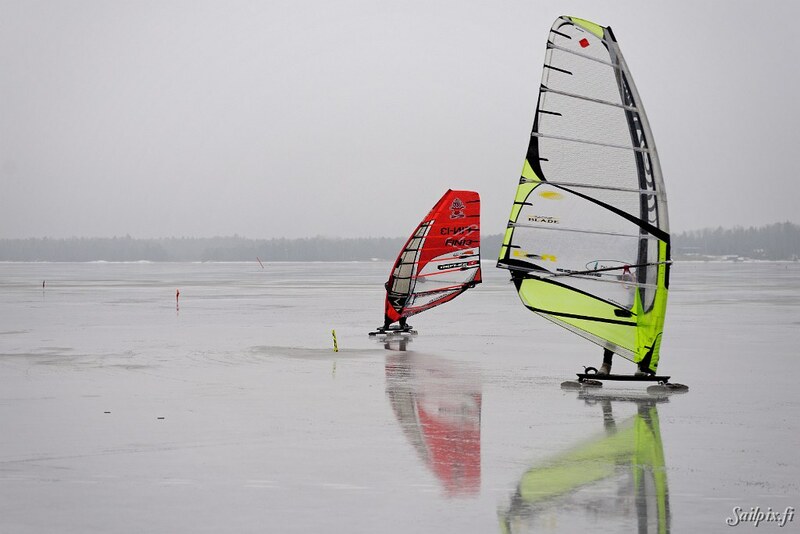 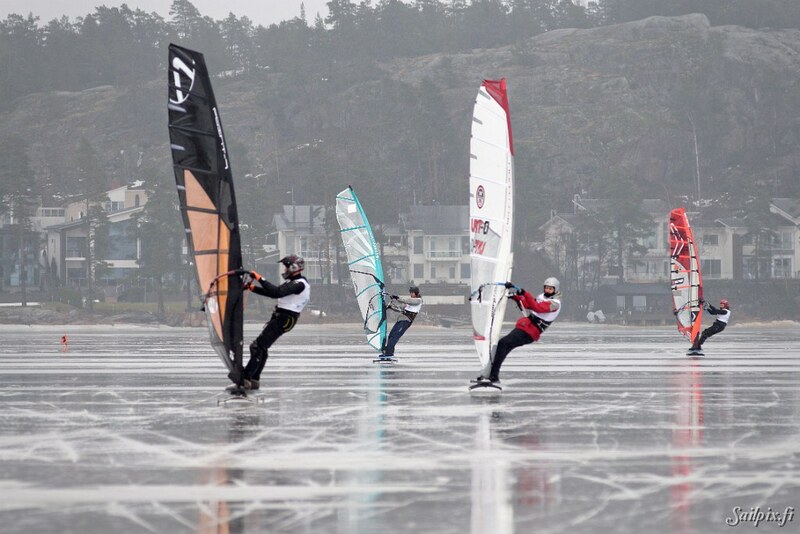 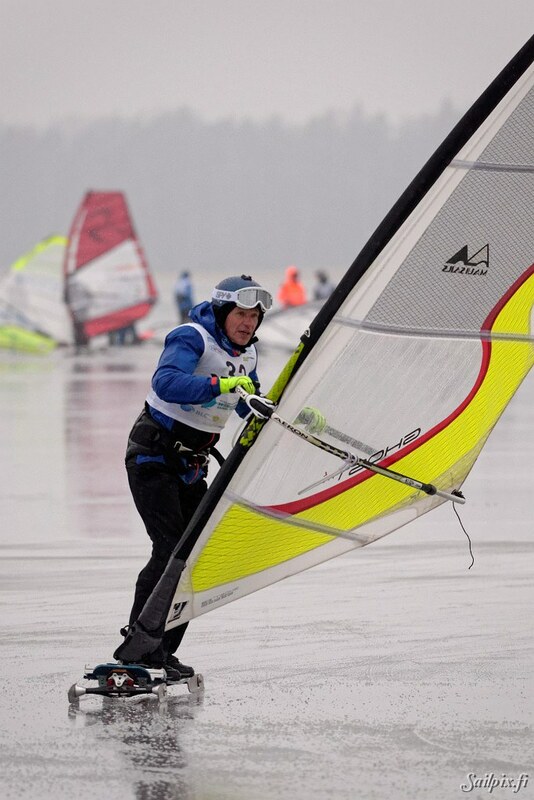 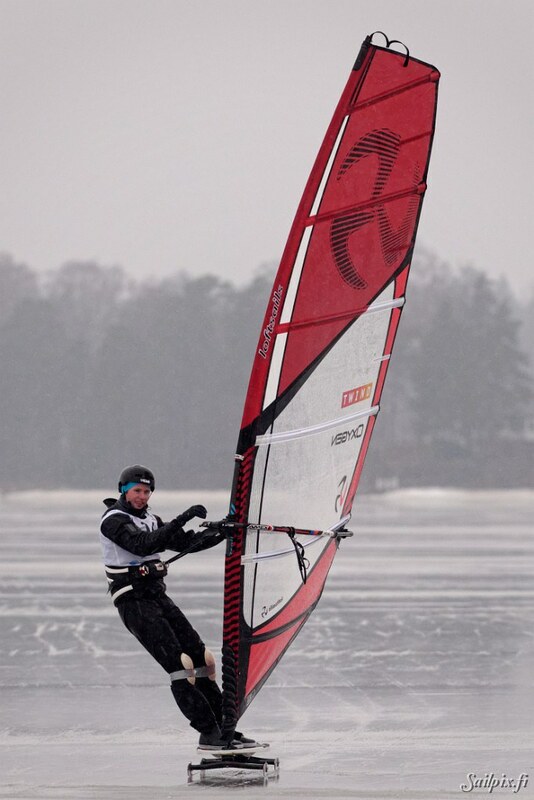 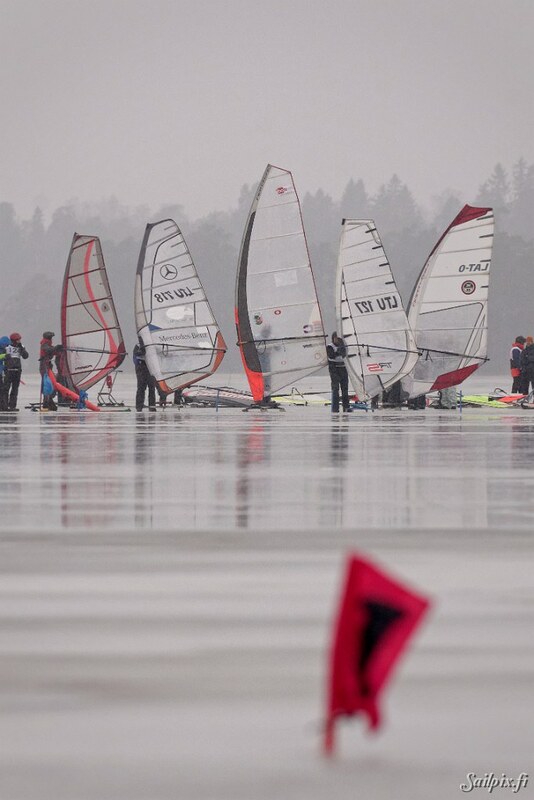 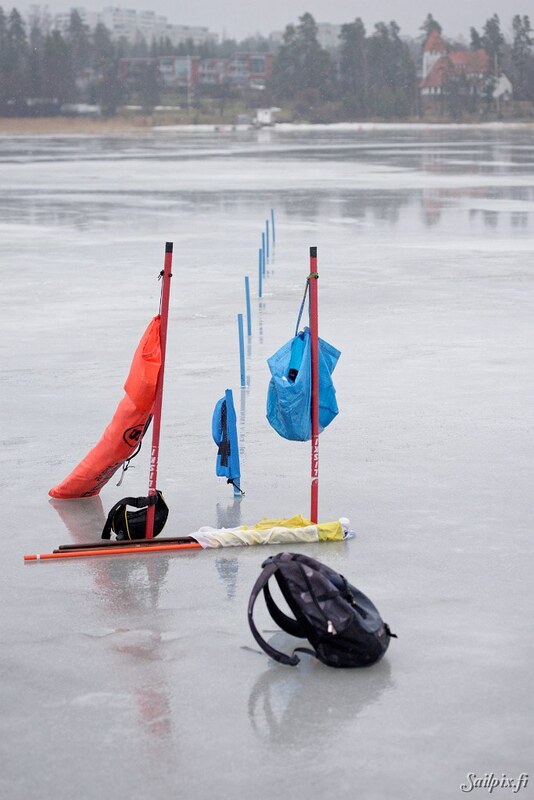 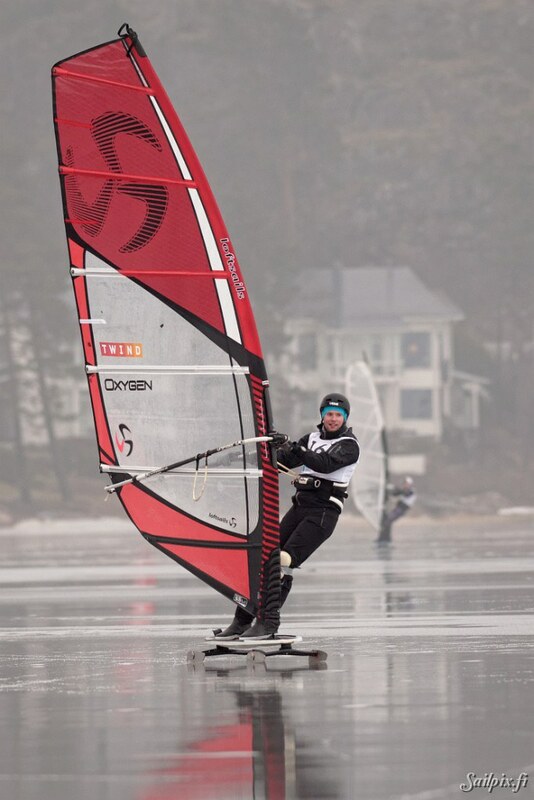 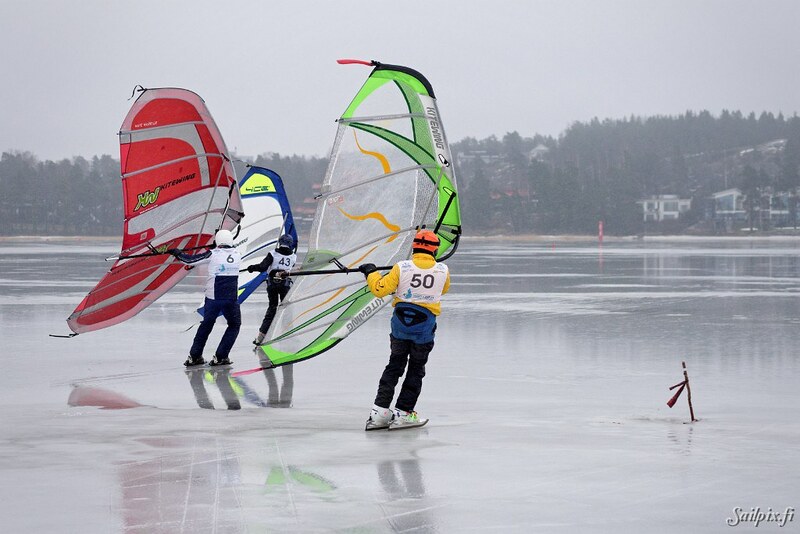 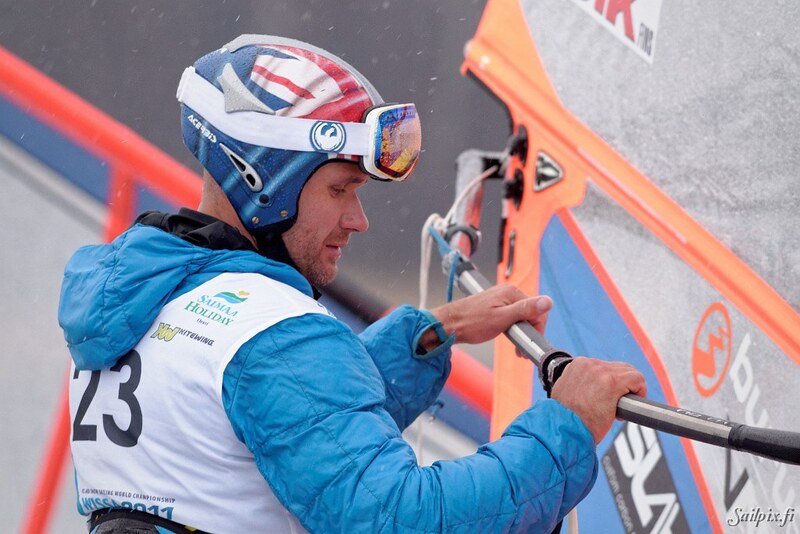 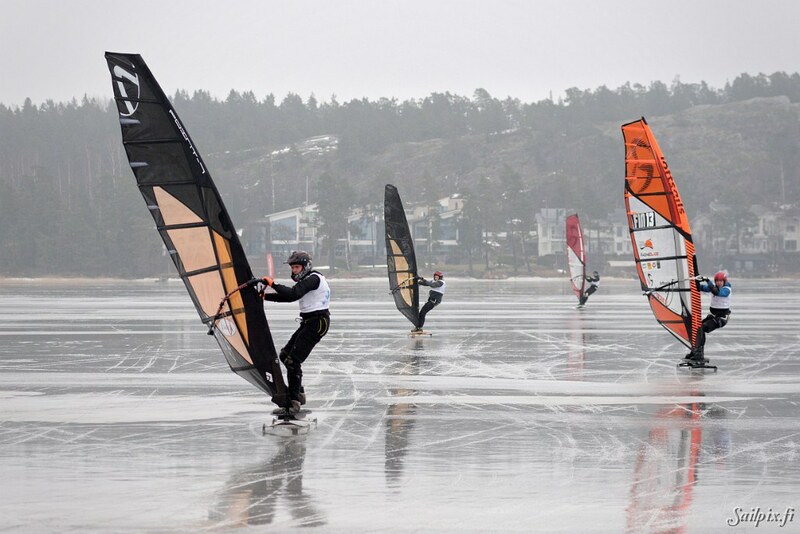 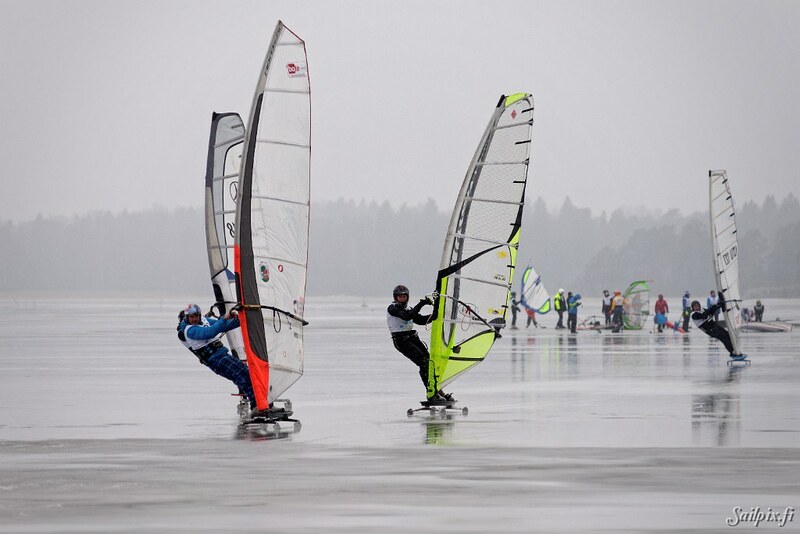 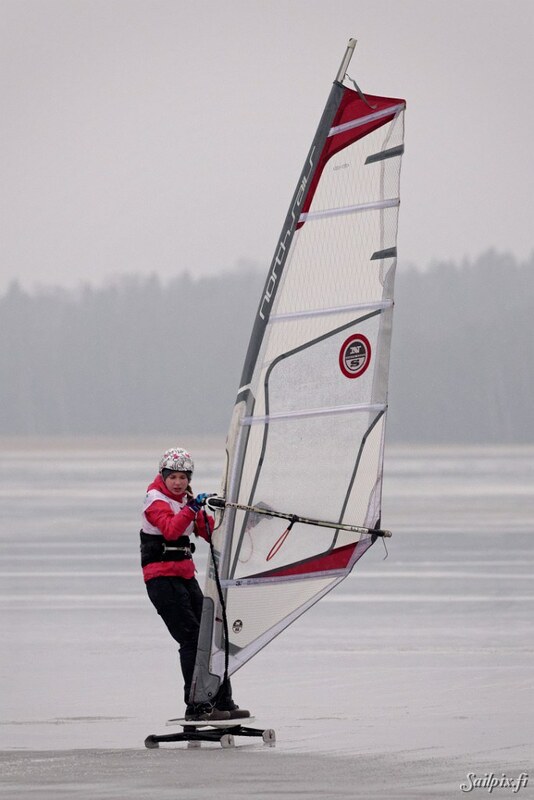 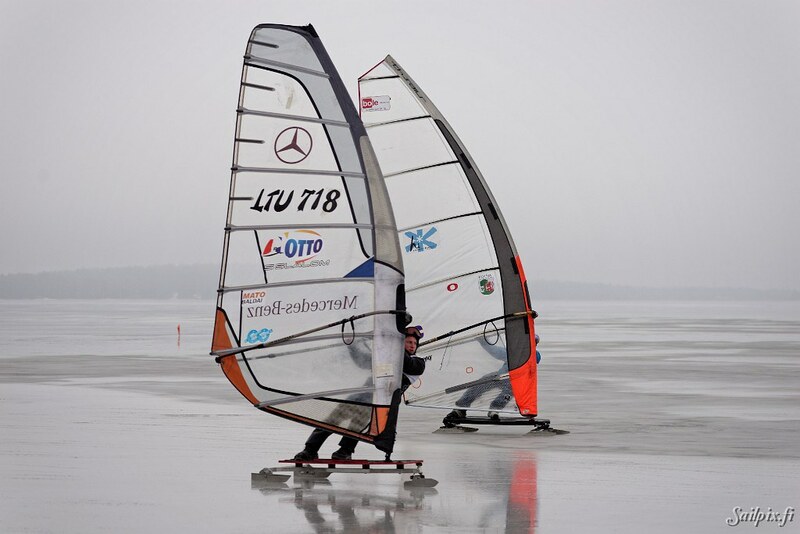 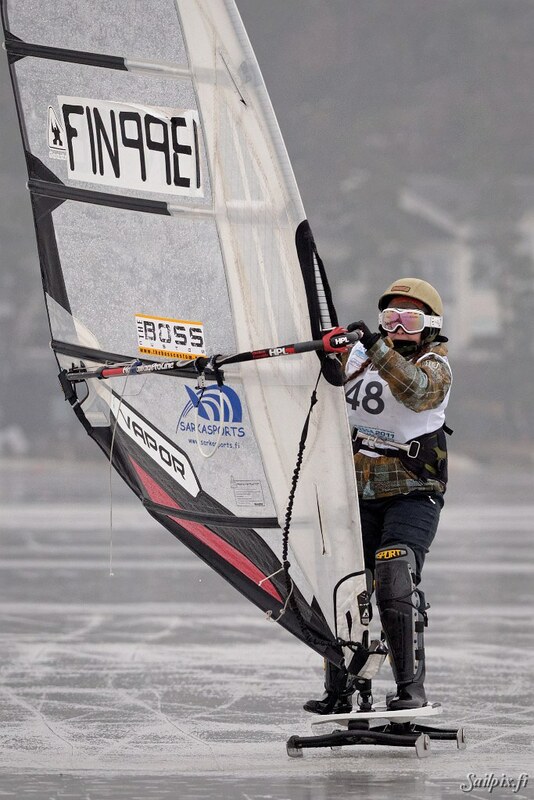 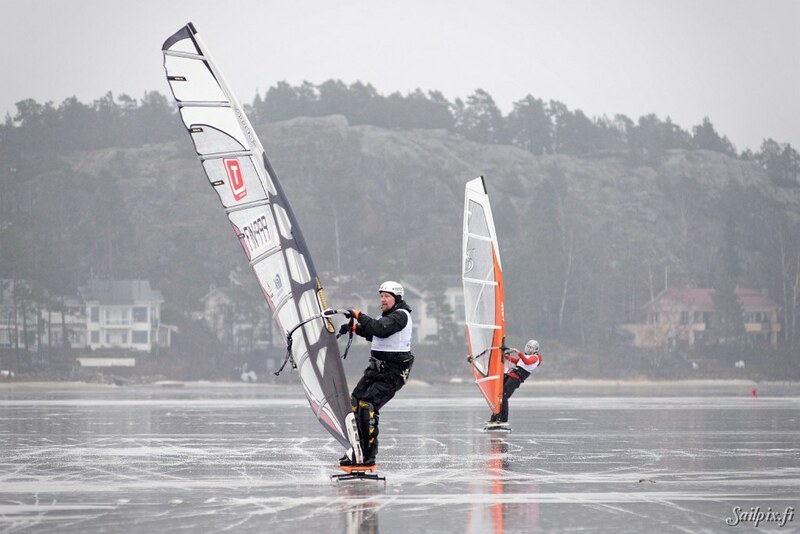 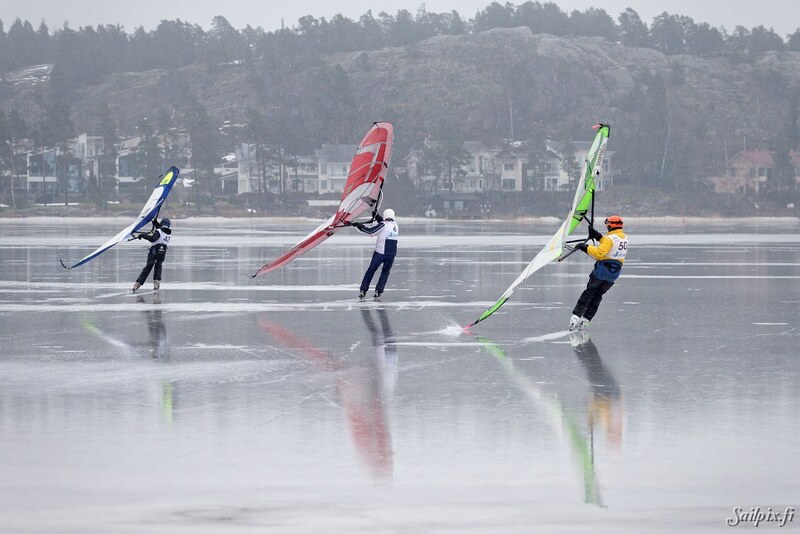 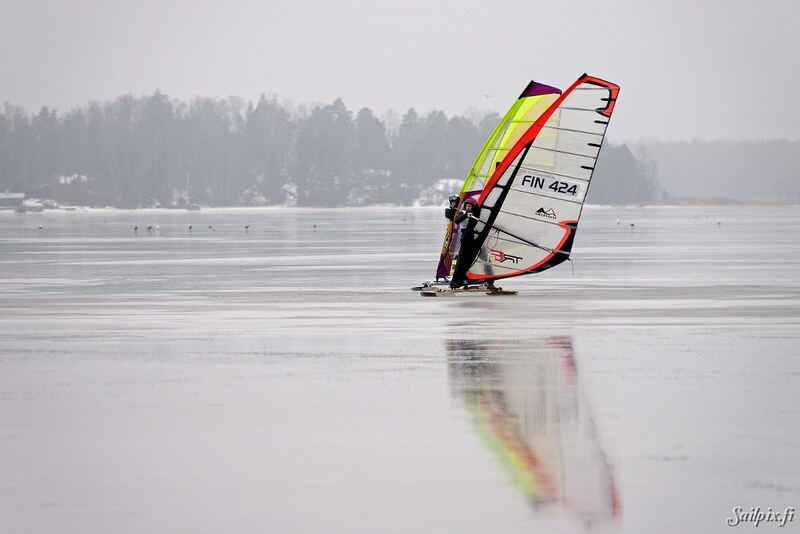 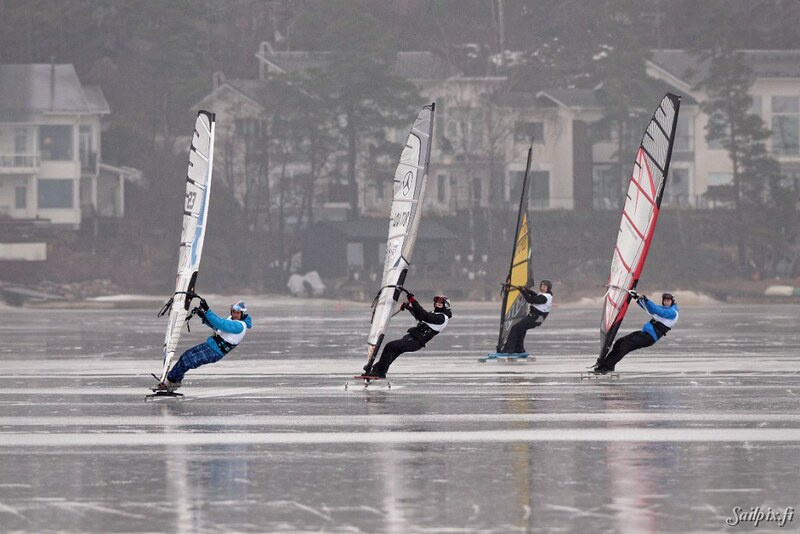 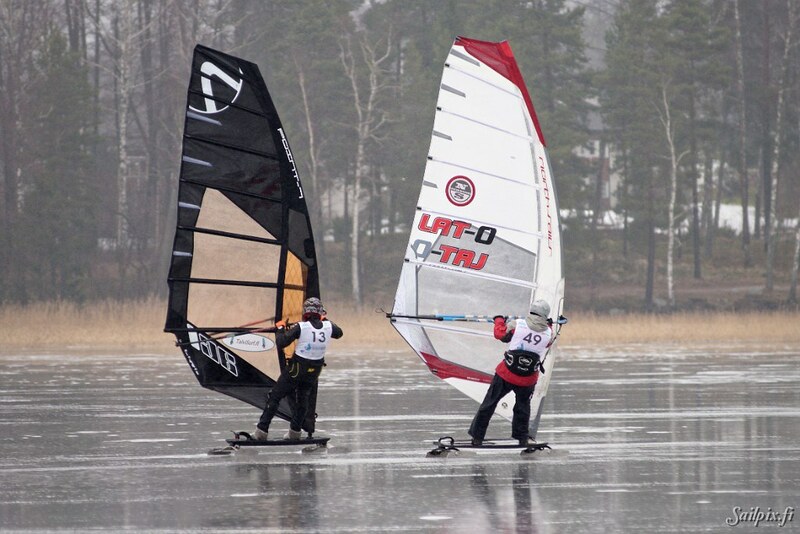 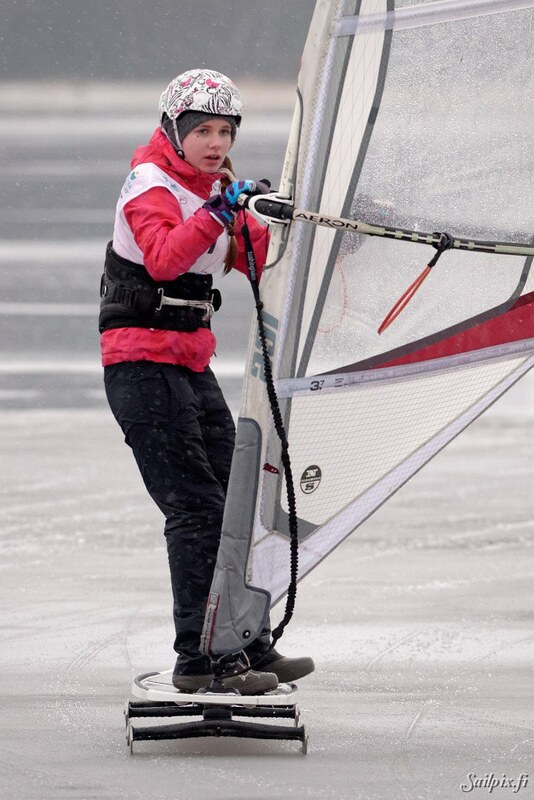 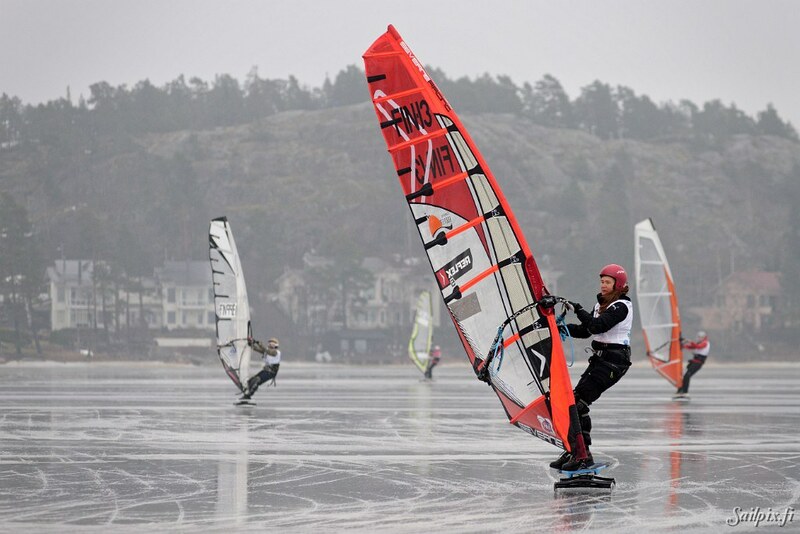 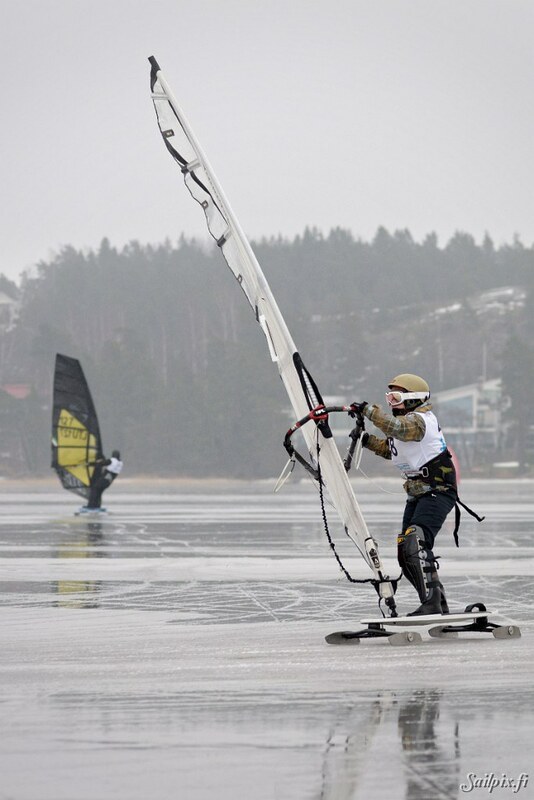 The weather was not the best possible, but at least there was ice and wind, which is the minimum requirement for racing. 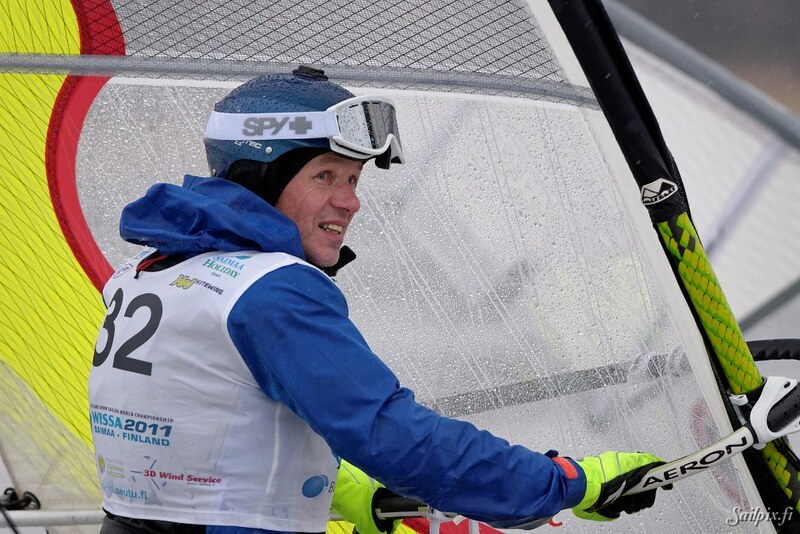 Results are available at the Event Facebook page.